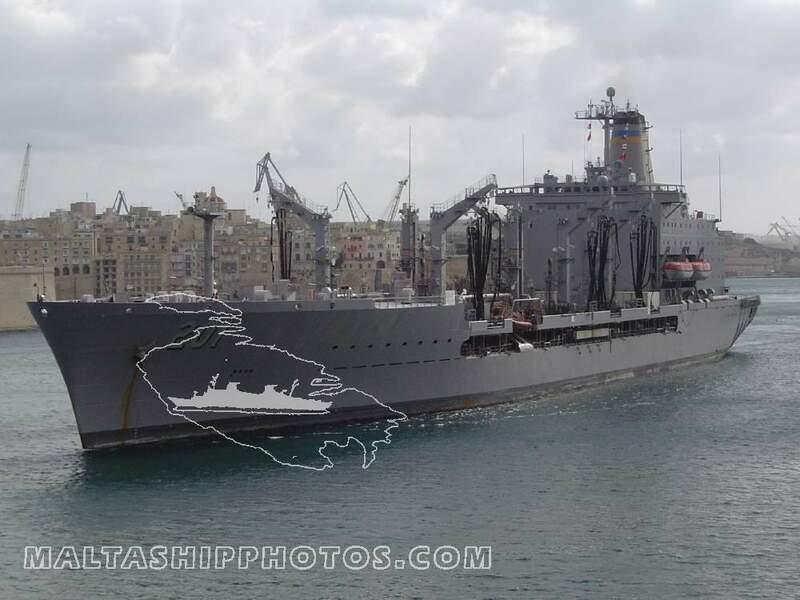 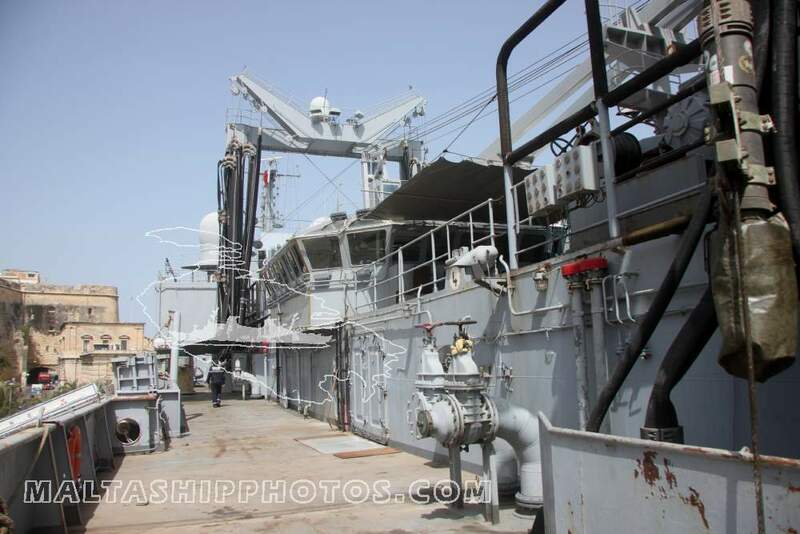 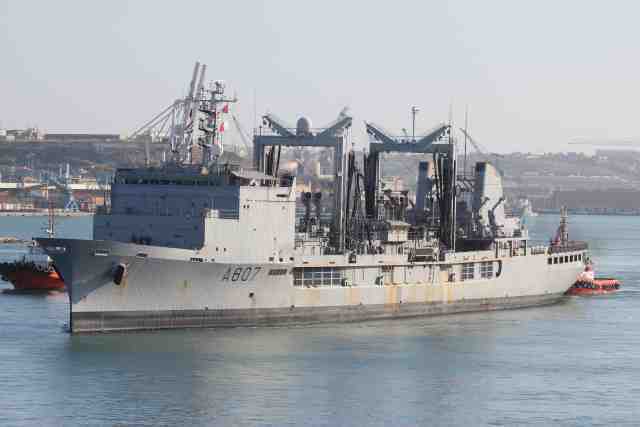 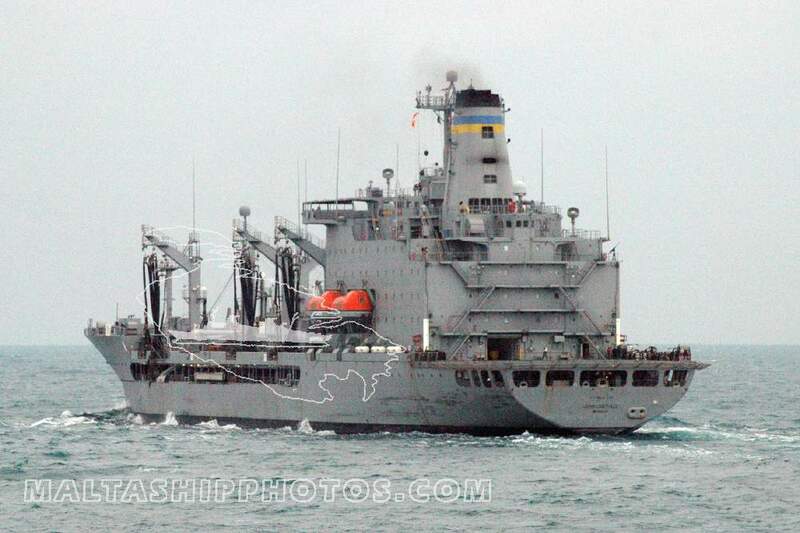 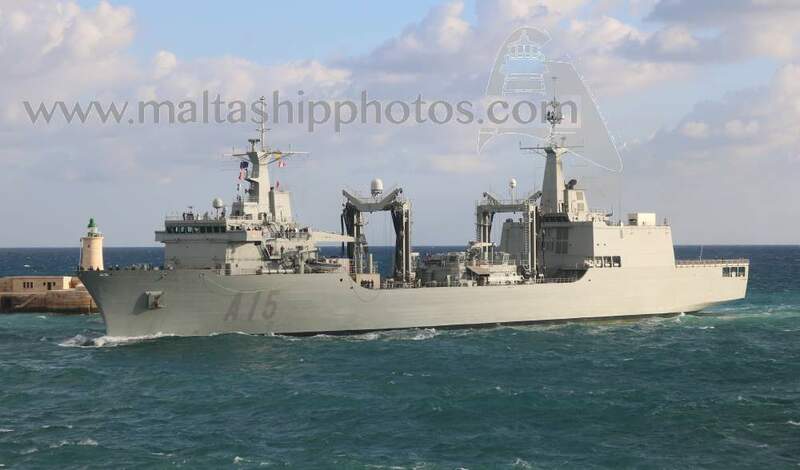 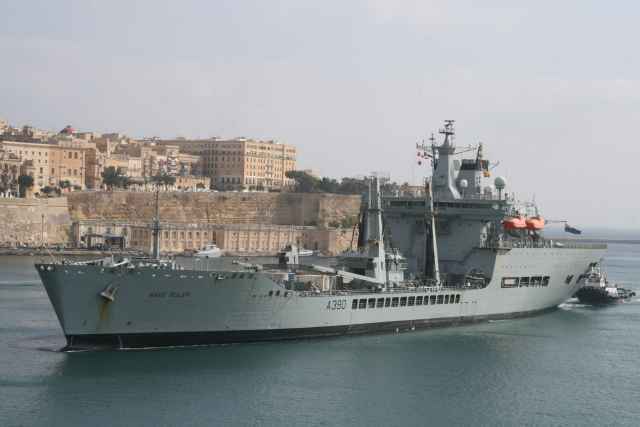 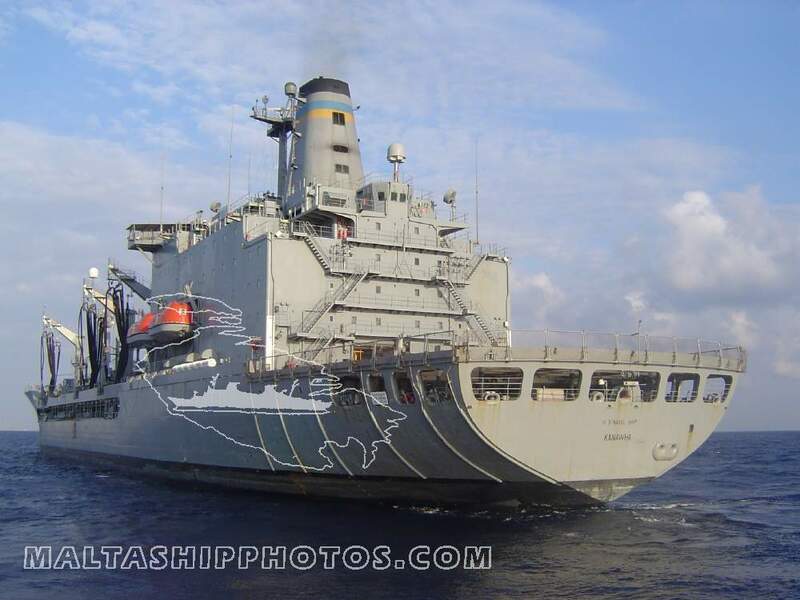 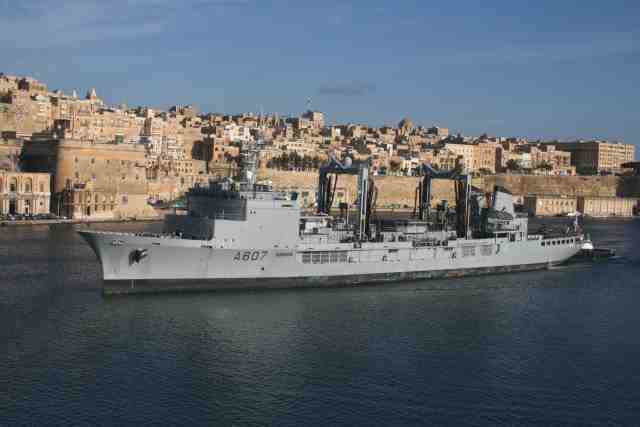 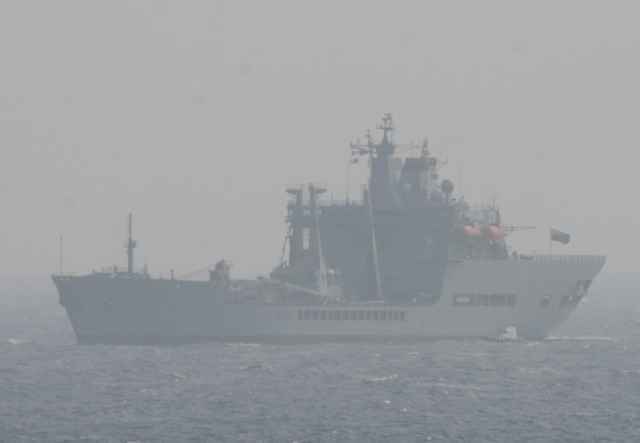 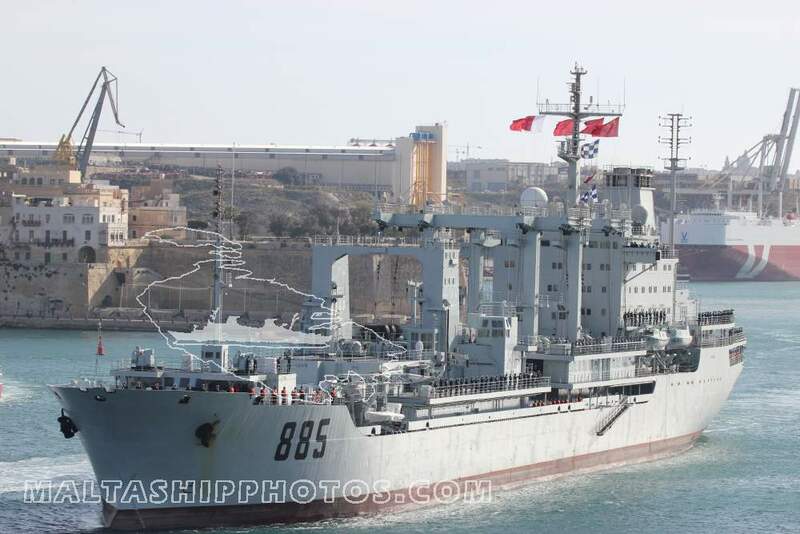 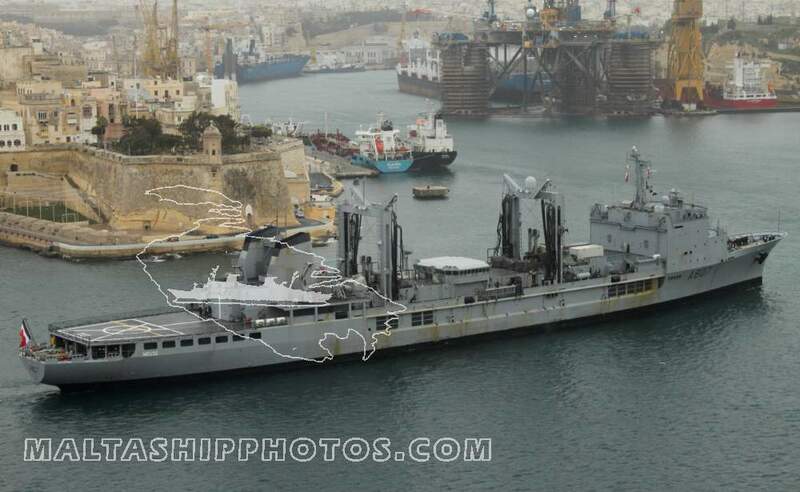 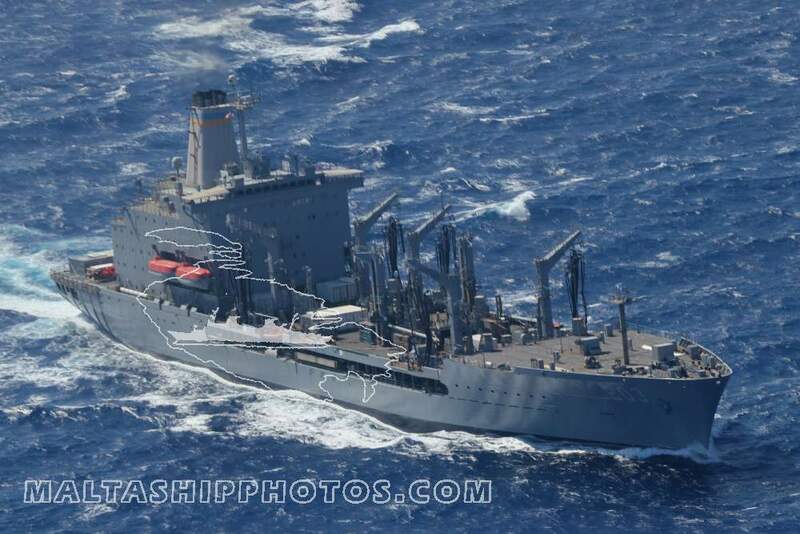 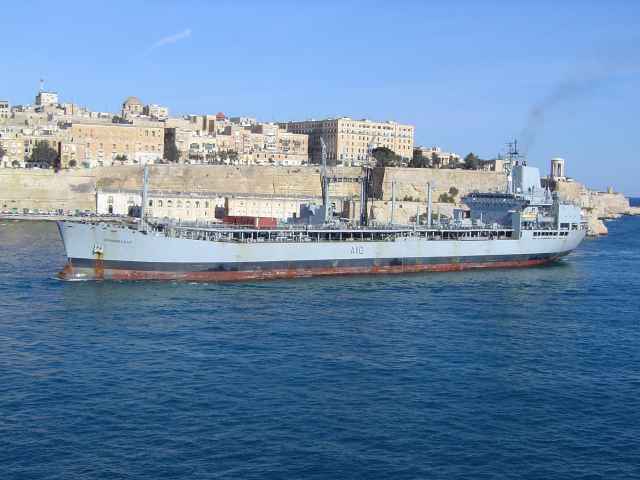 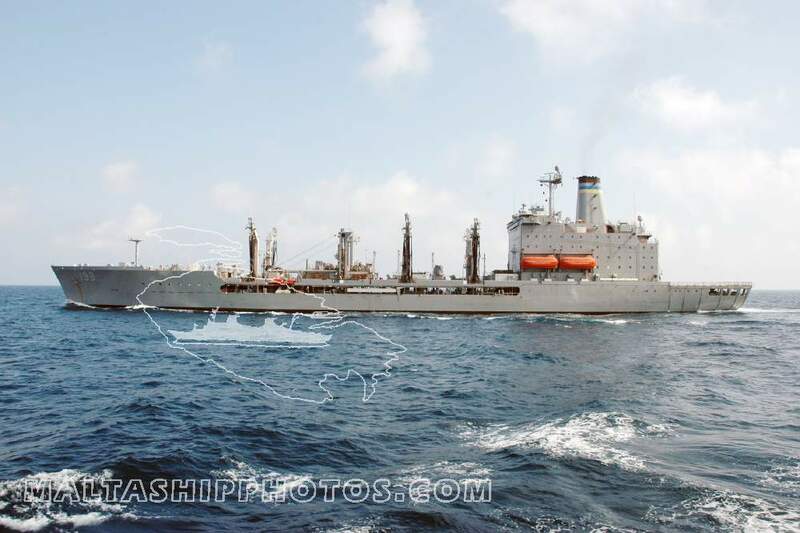 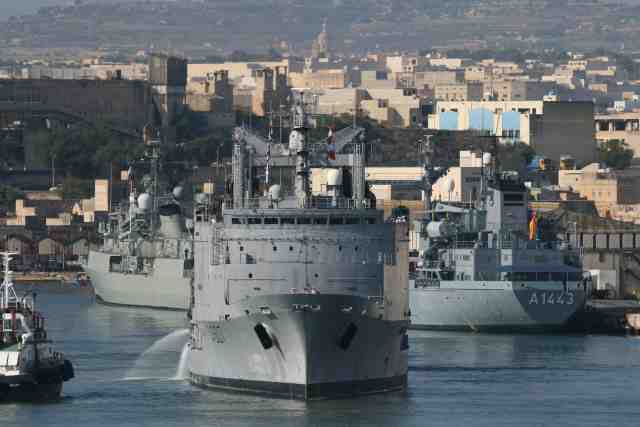 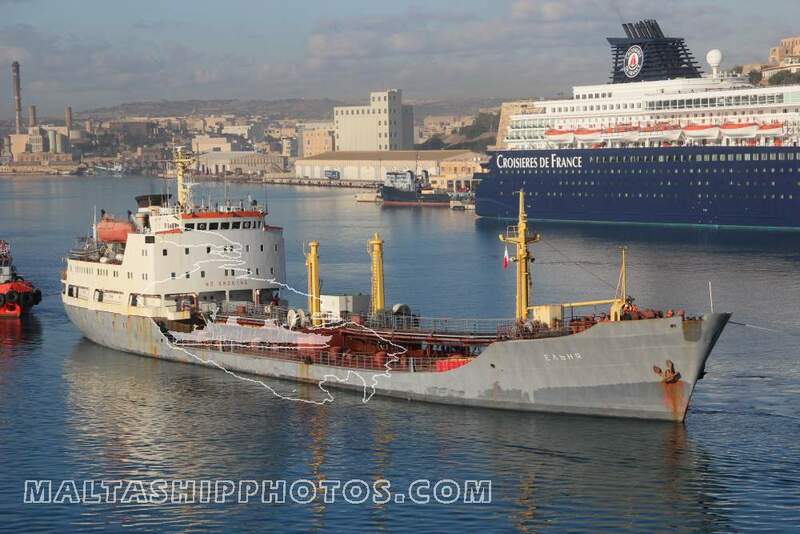 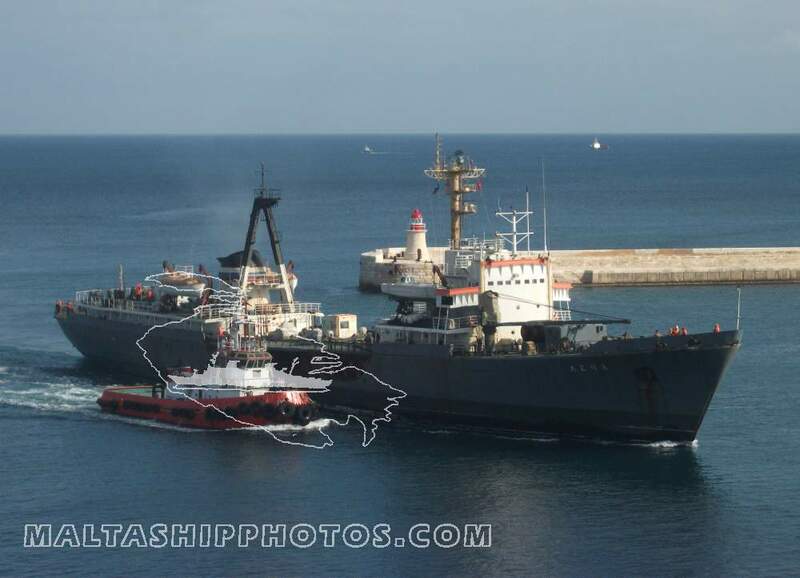 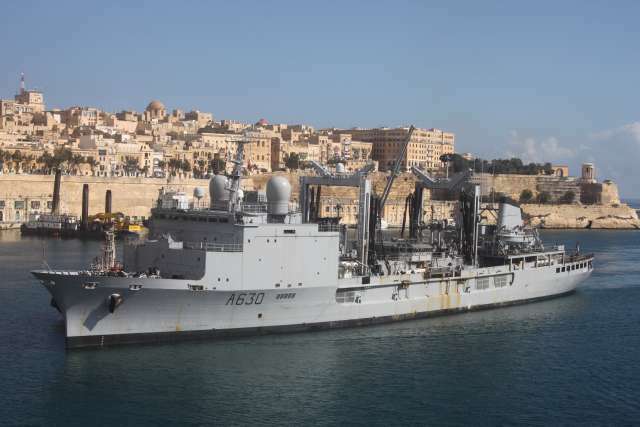 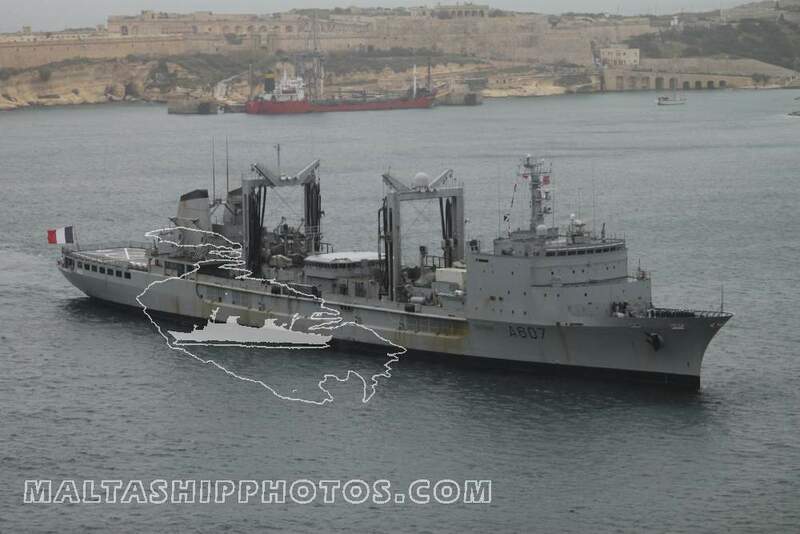 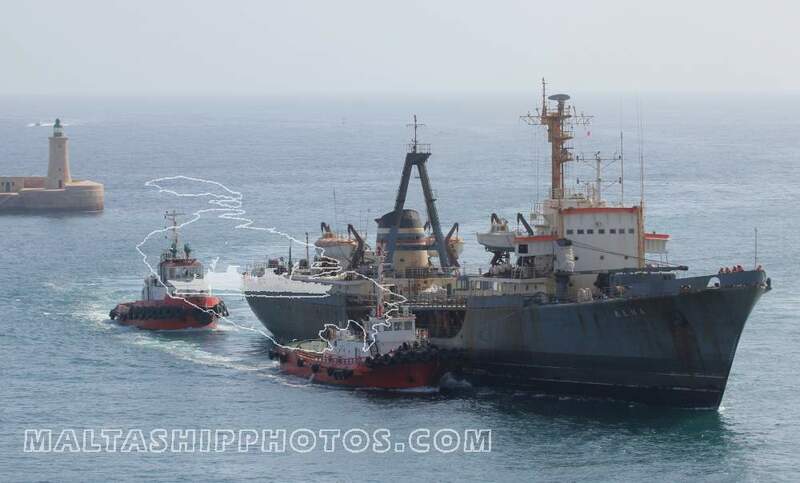 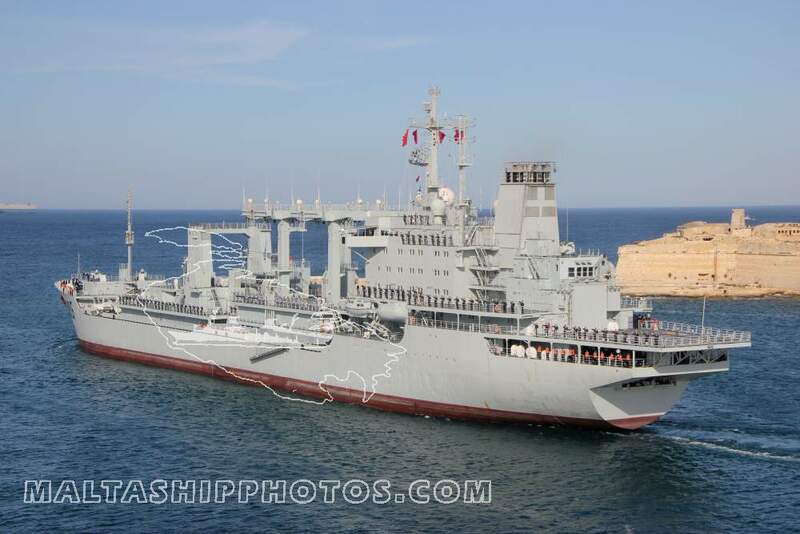 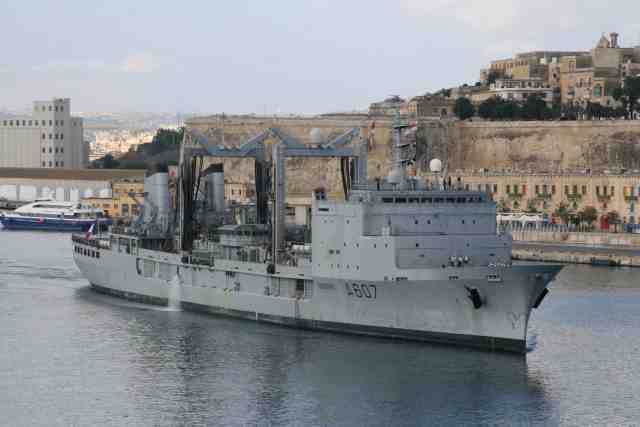 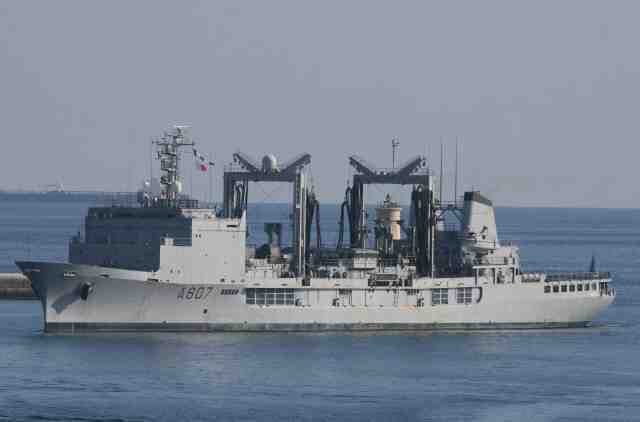 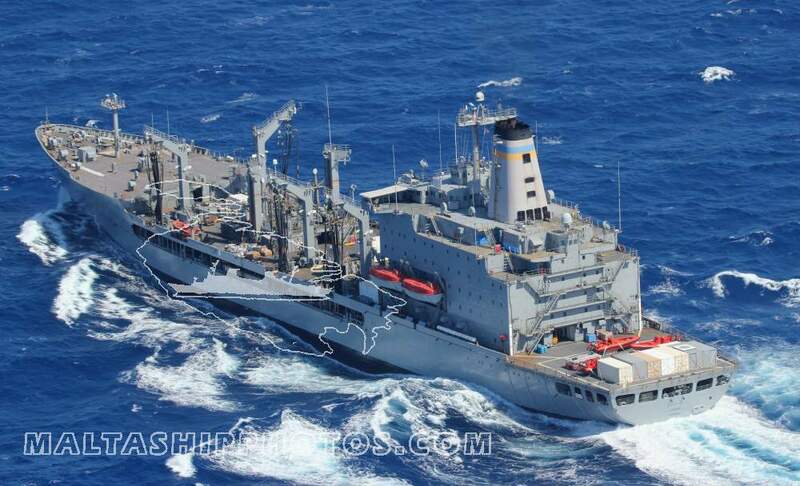 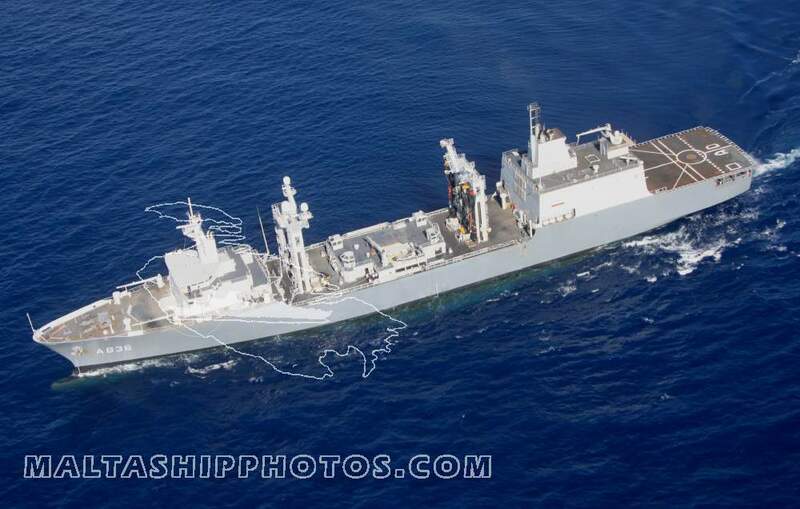 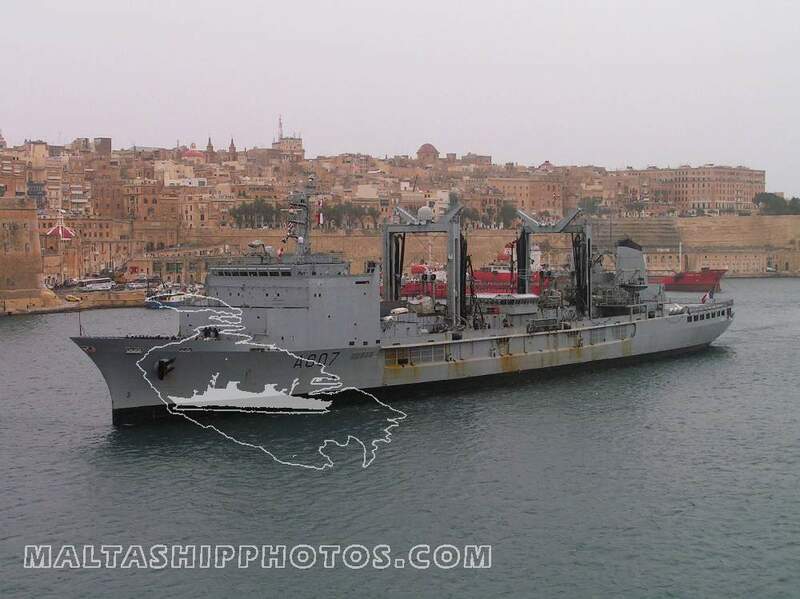 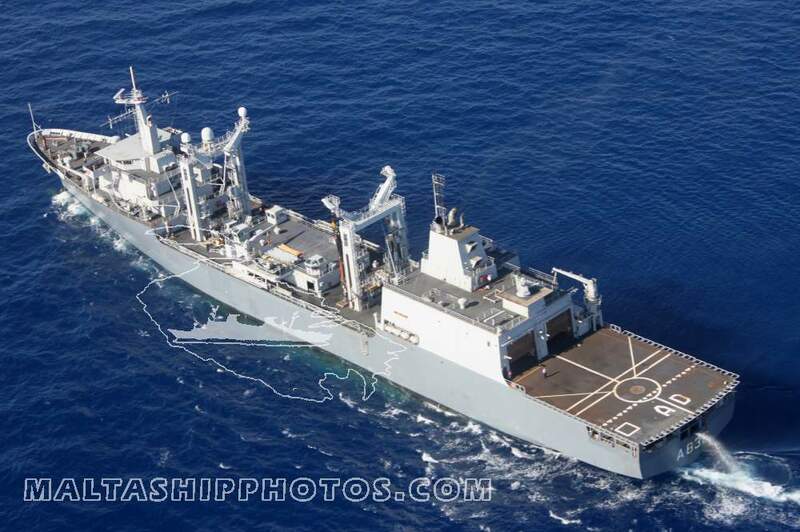 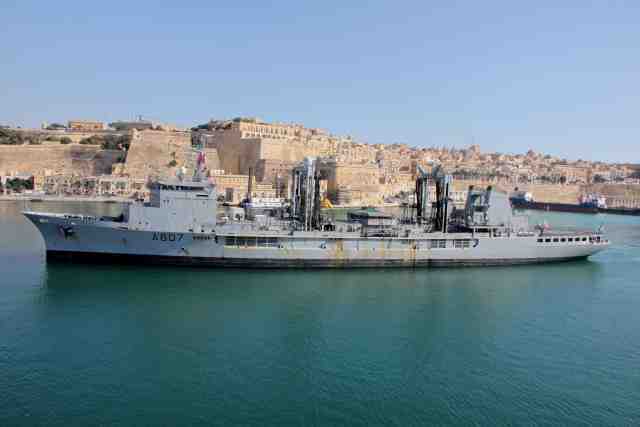 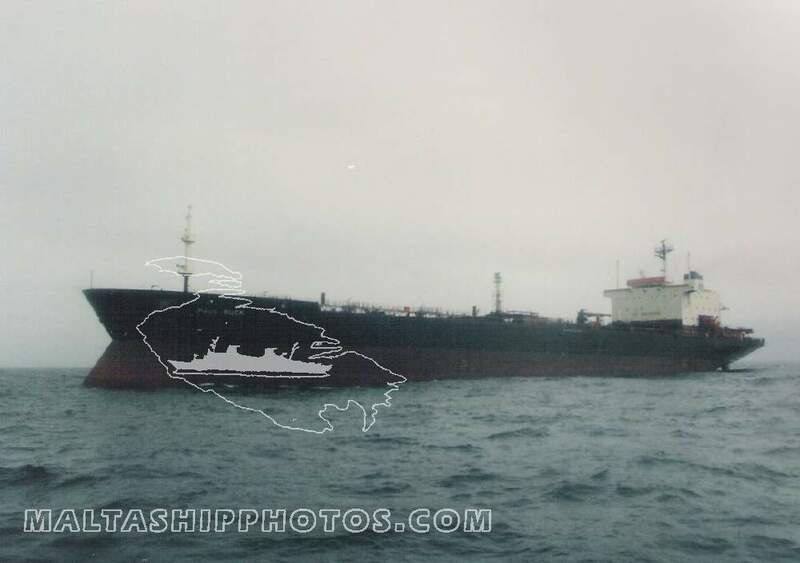 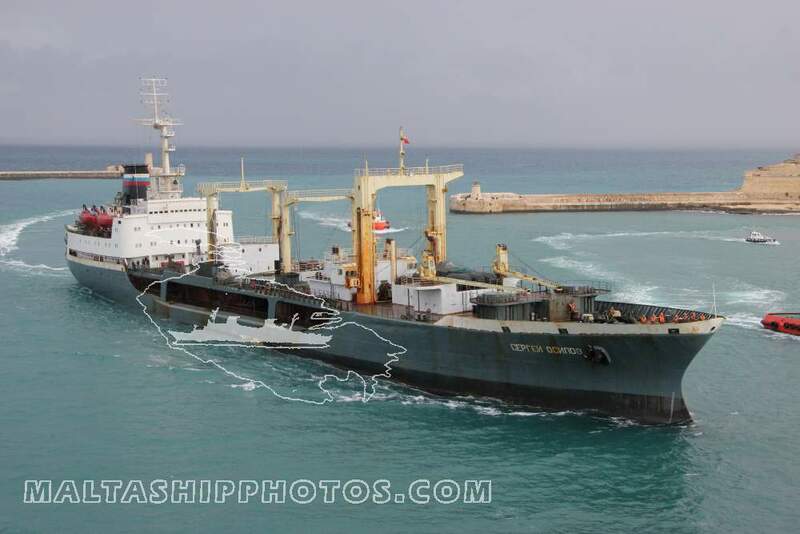 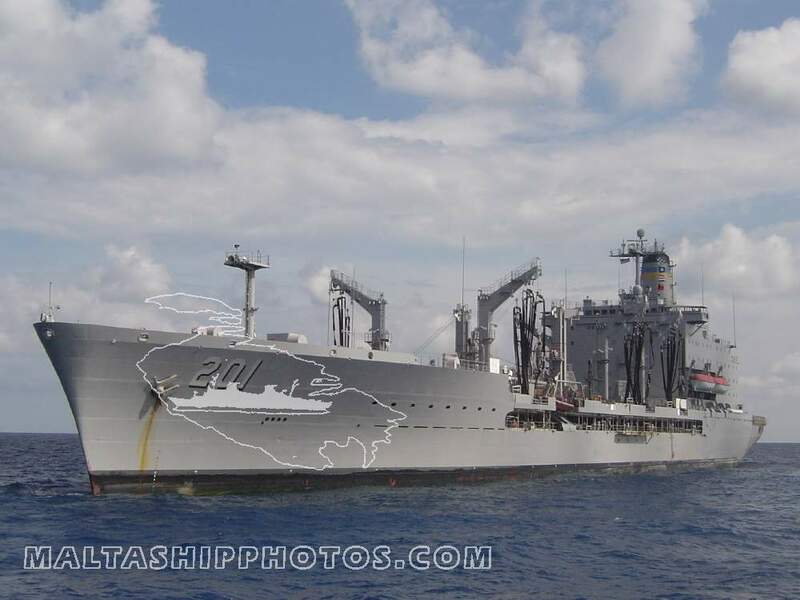 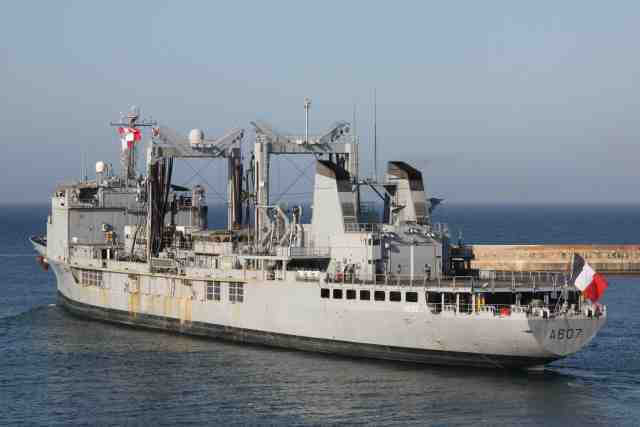 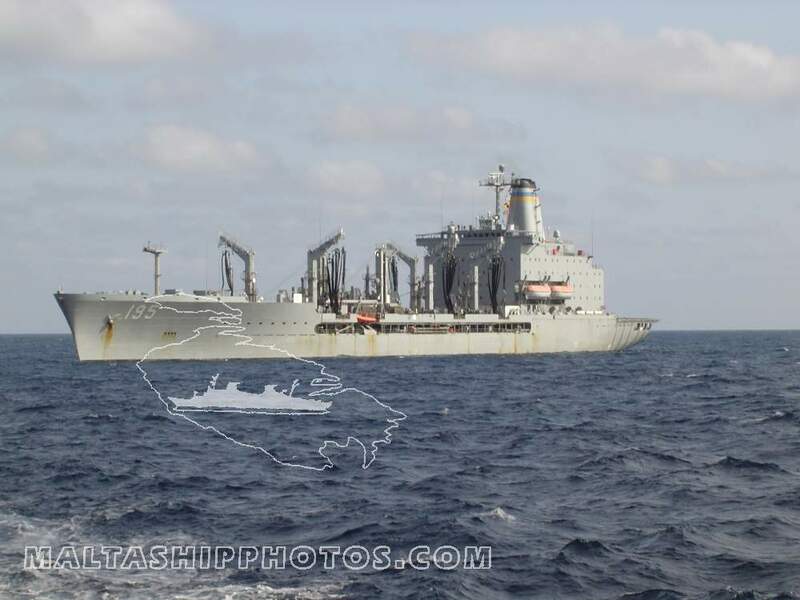 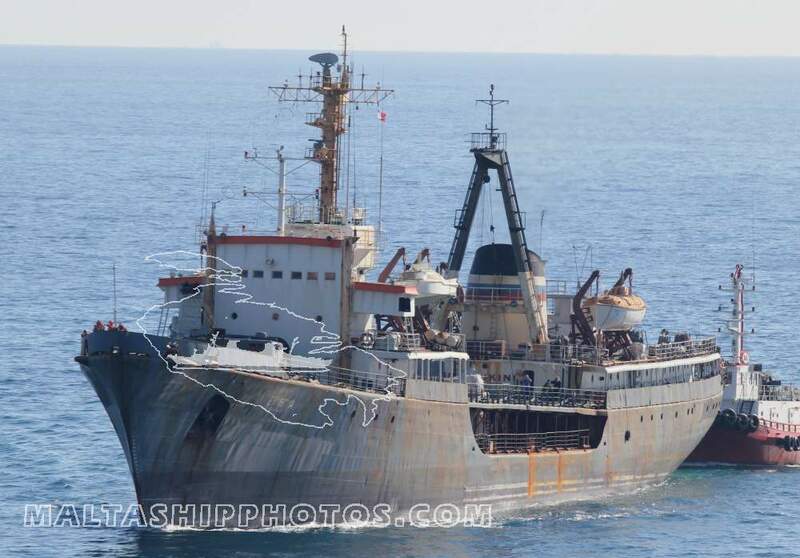 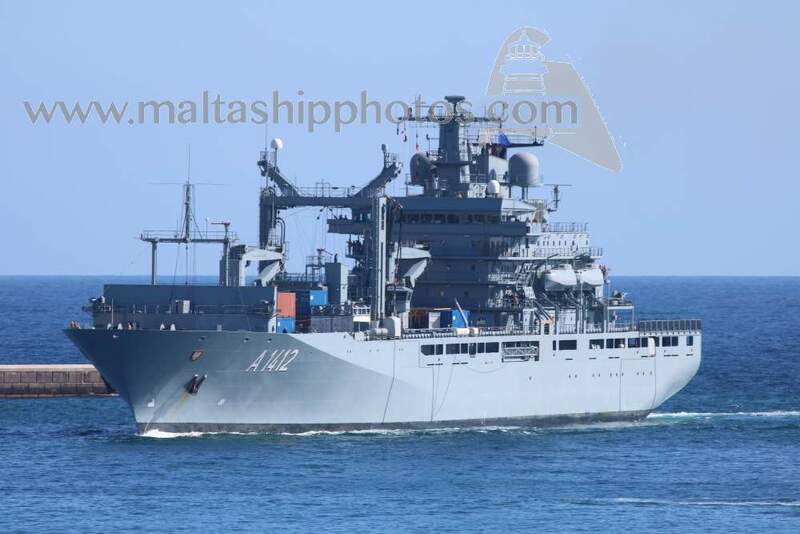 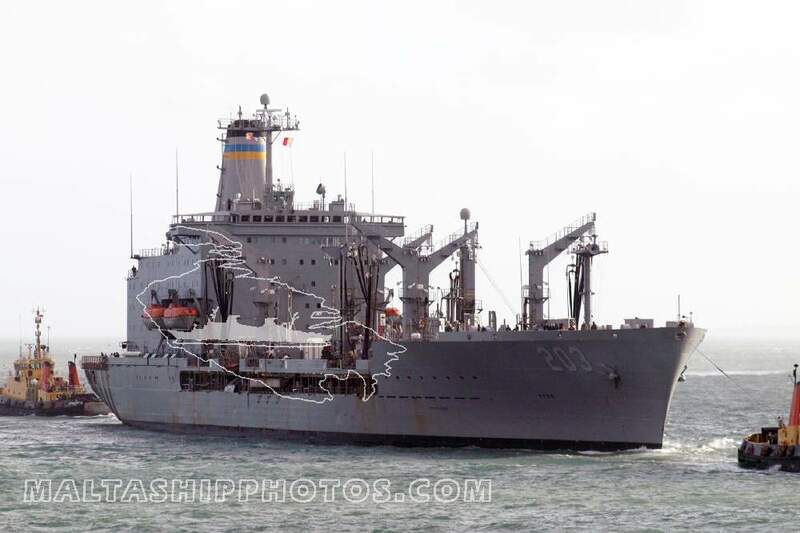 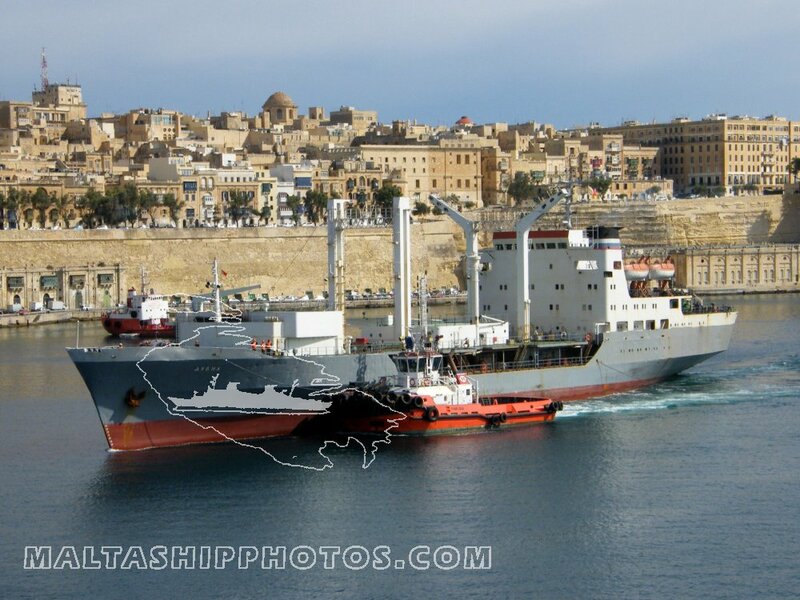 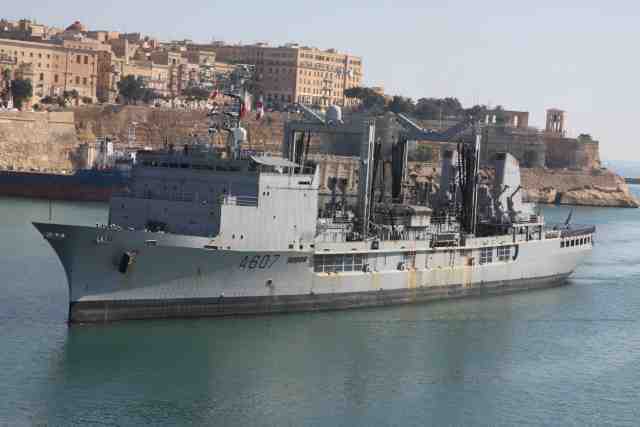 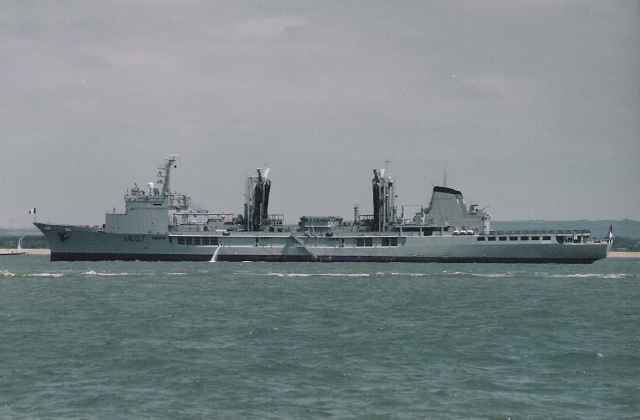 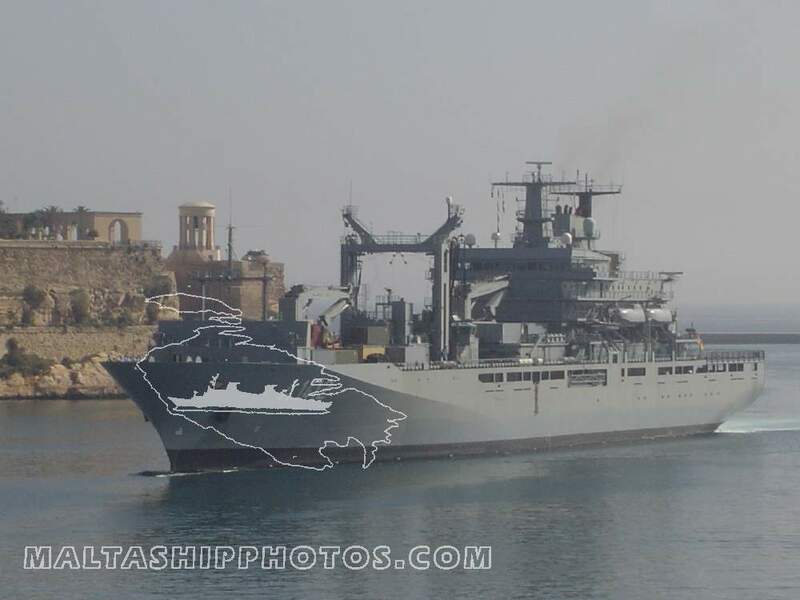 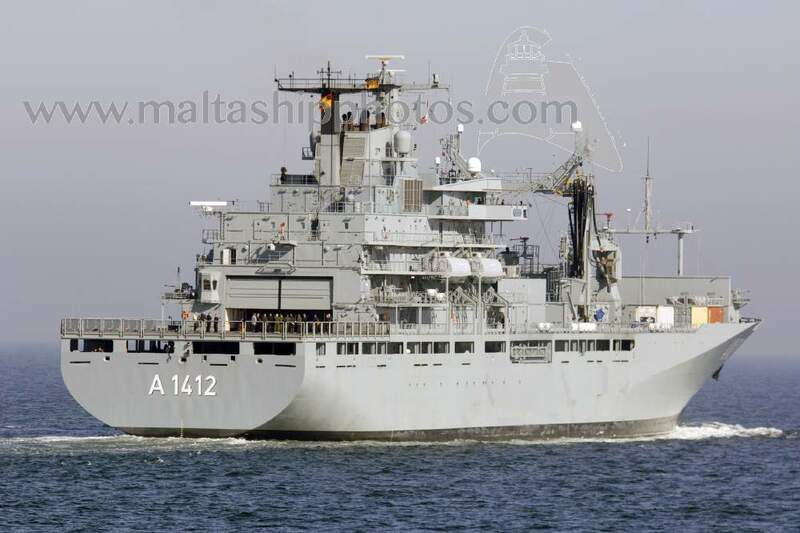 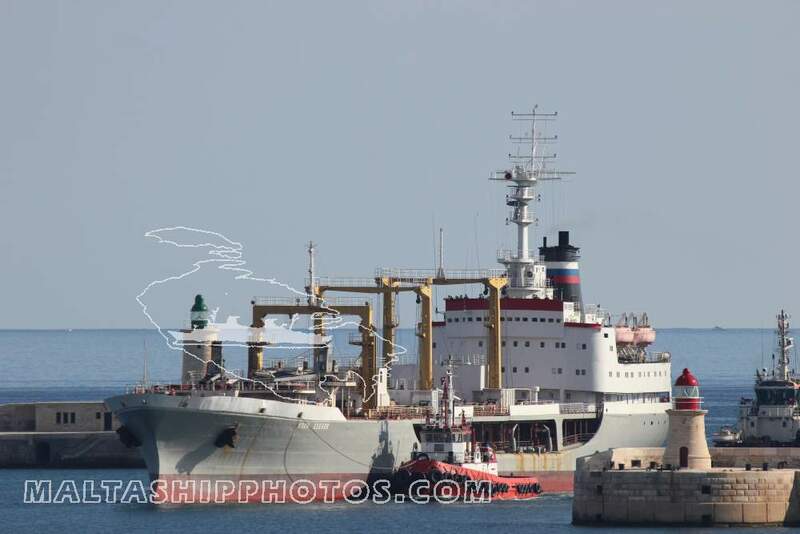 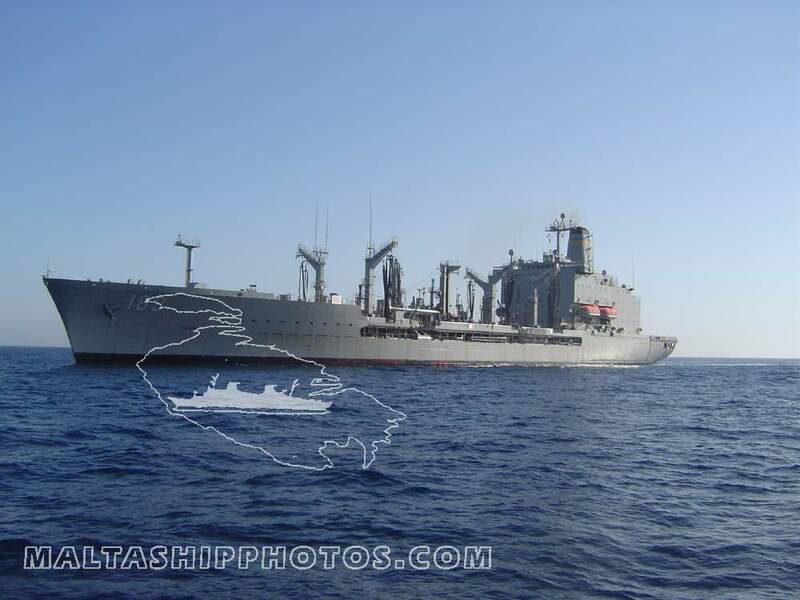 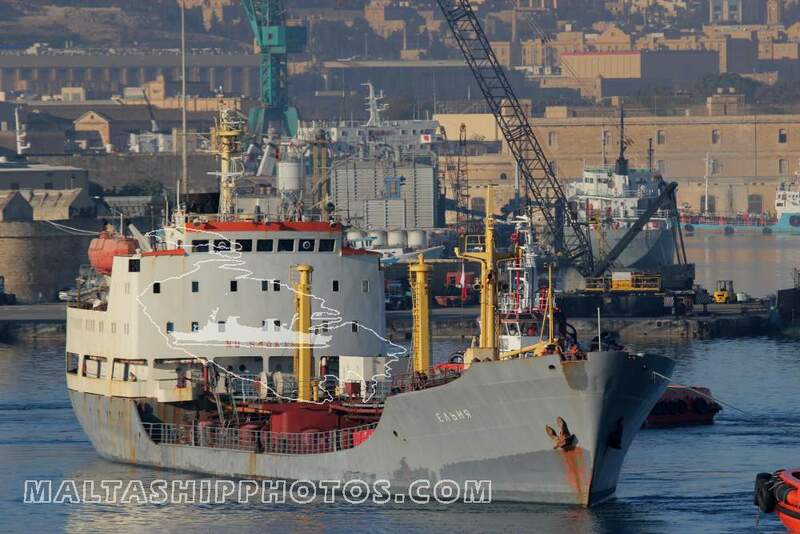 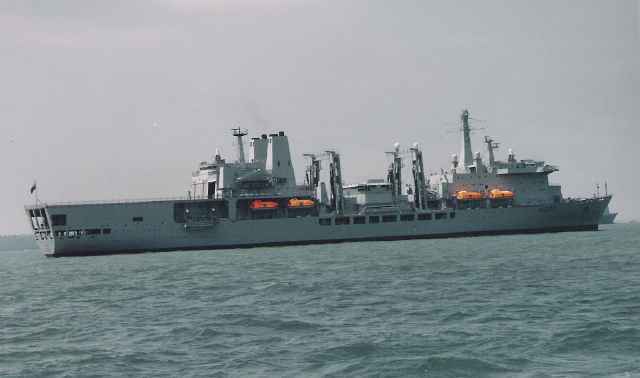 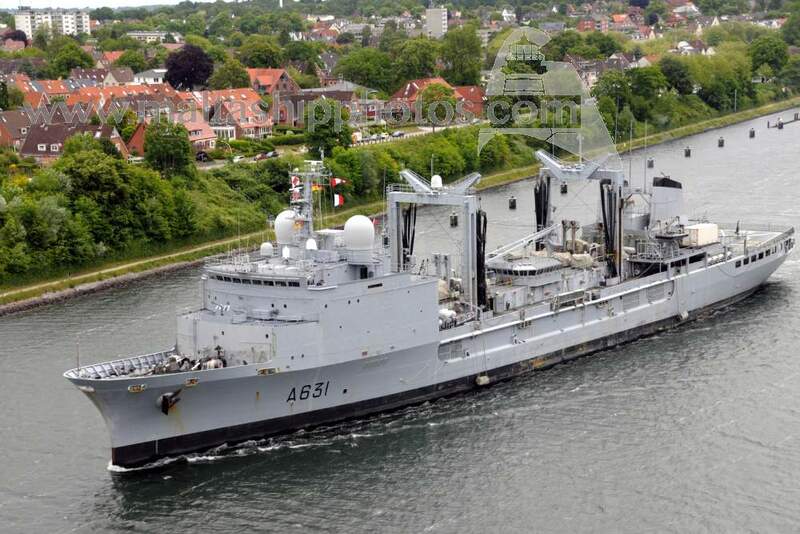 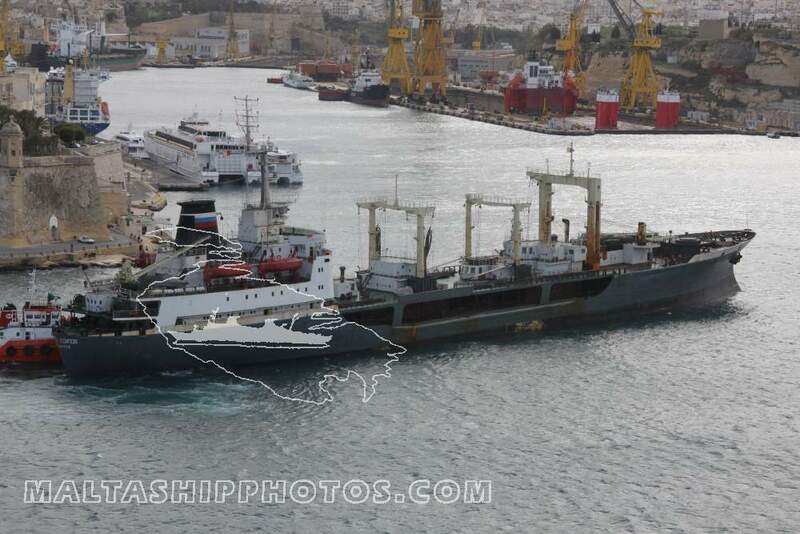 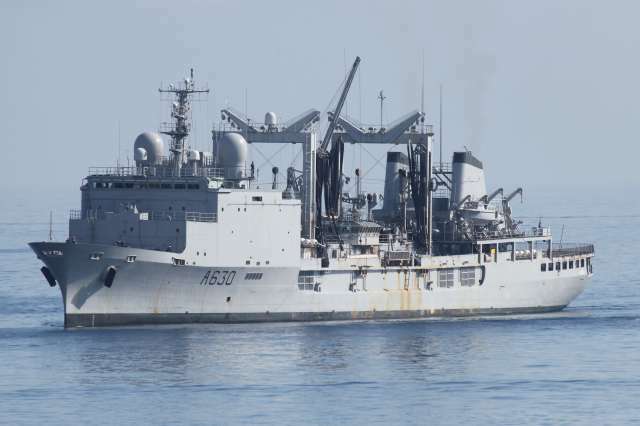 A combined fleet stores ship and tanker of the Royal Fleet Auxiliary. 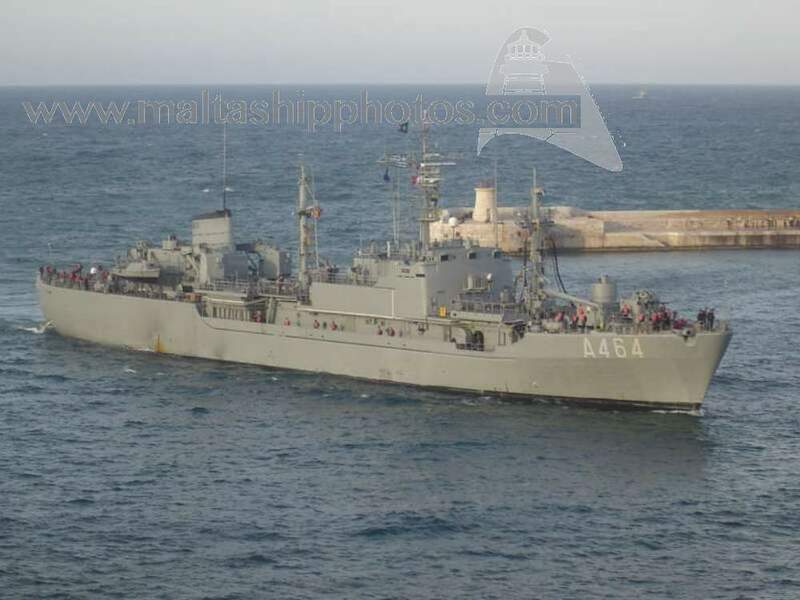 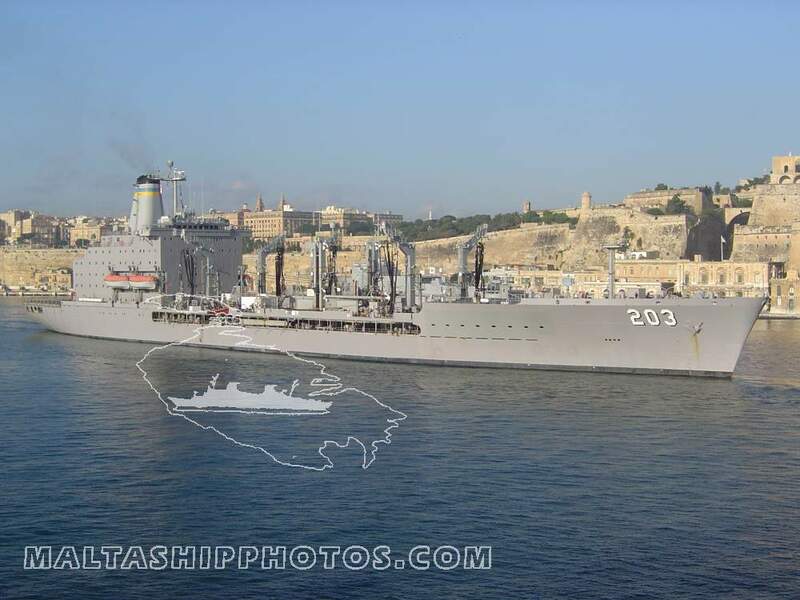 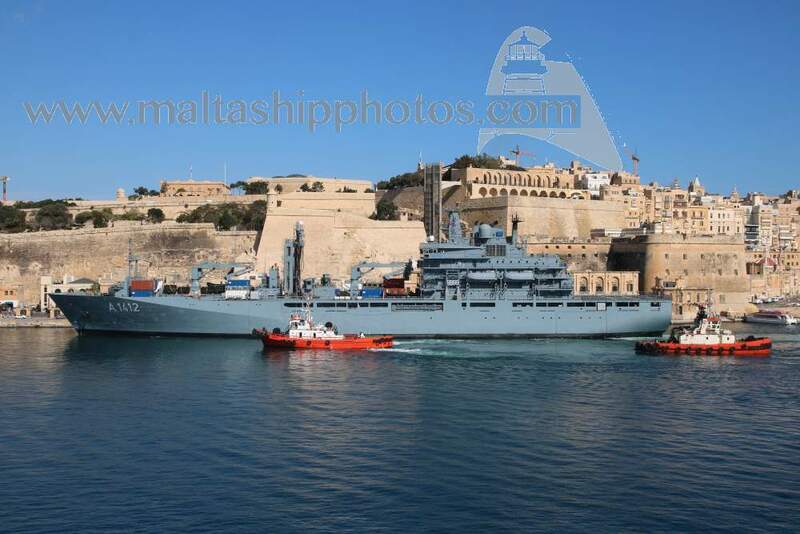 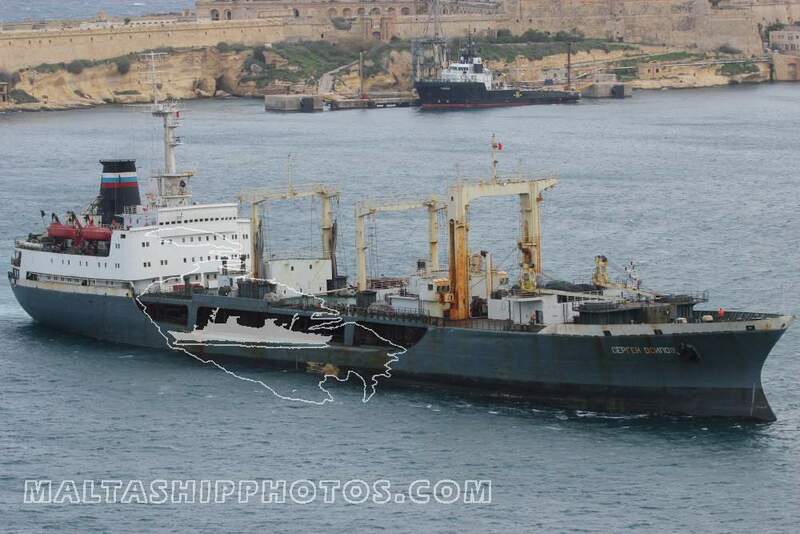 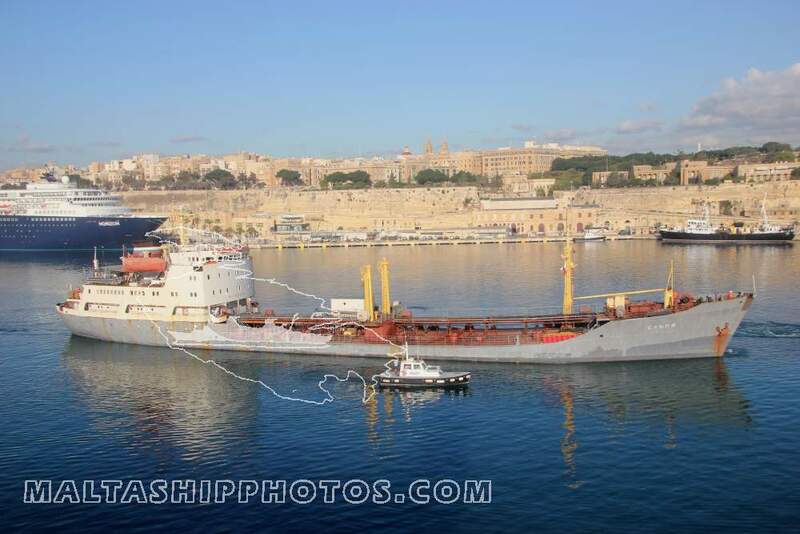 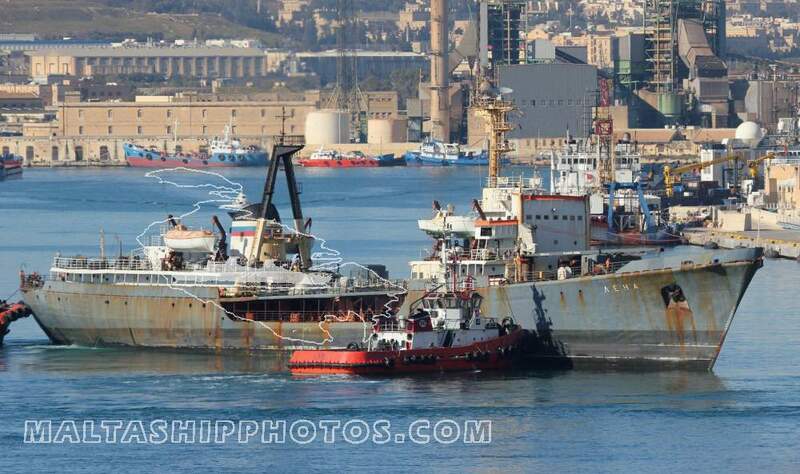 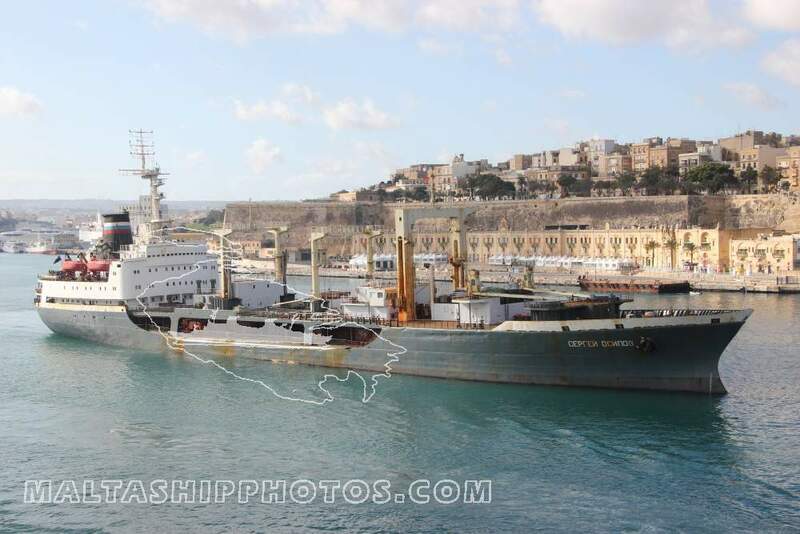 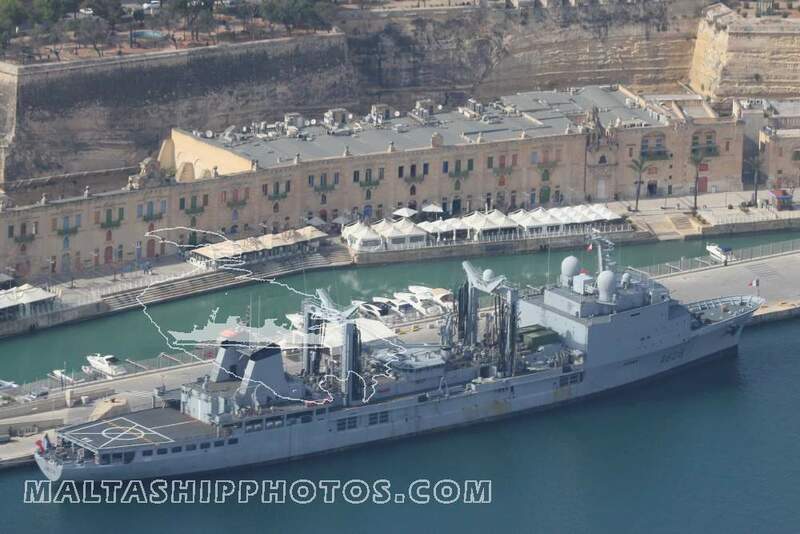 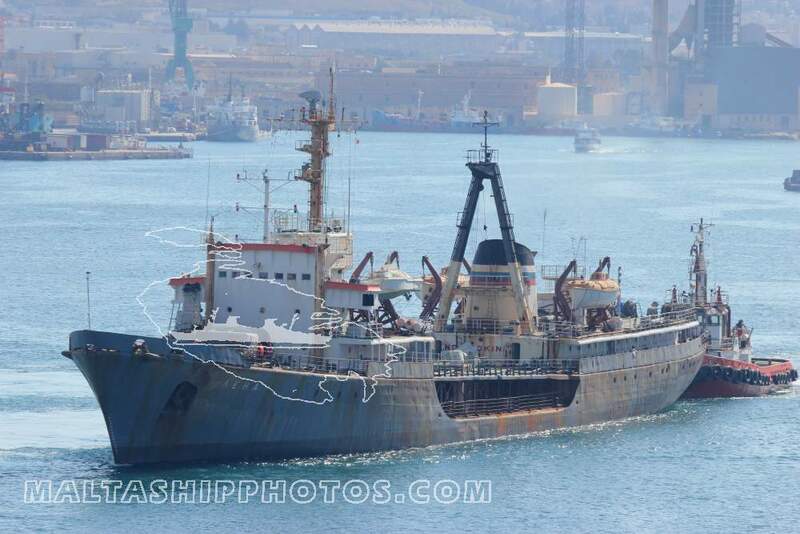 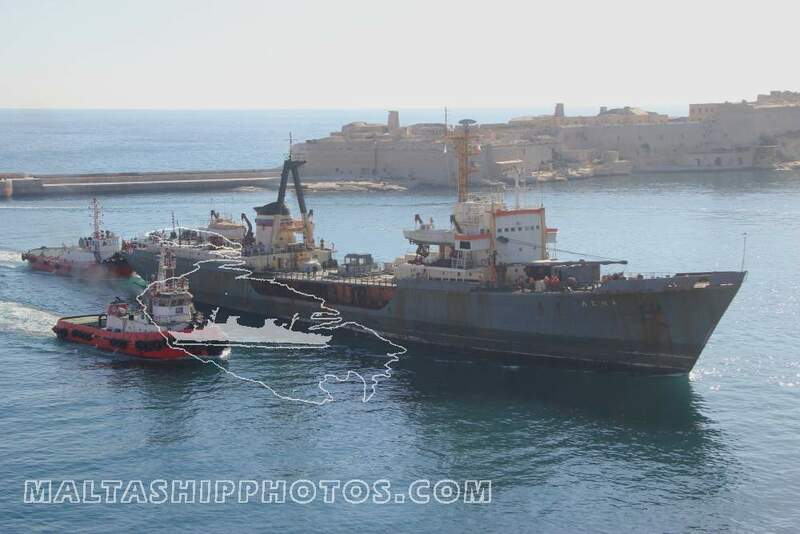 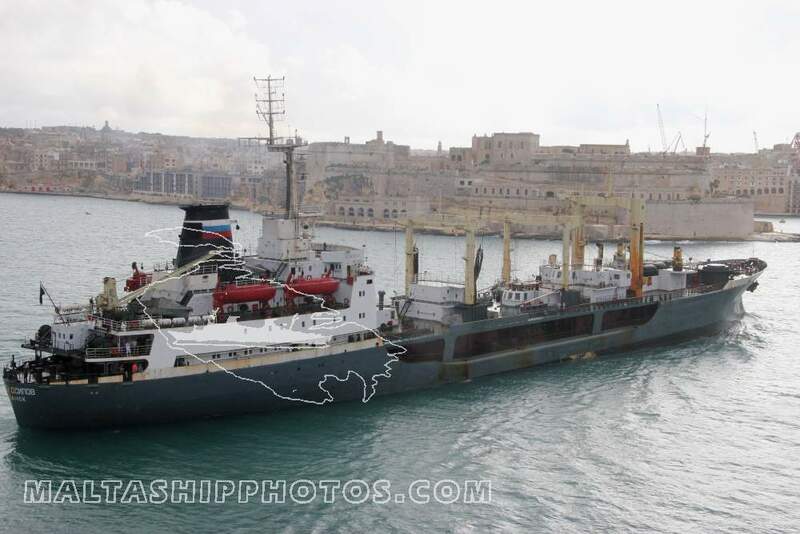 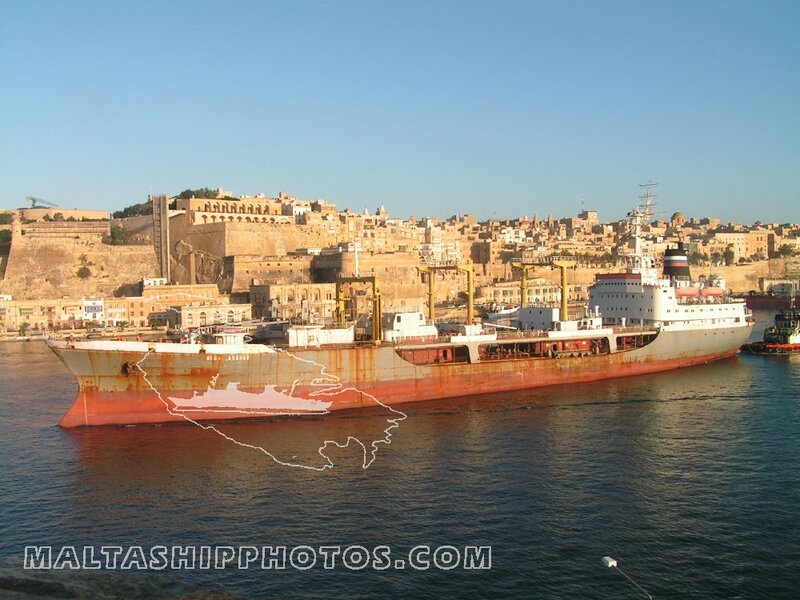 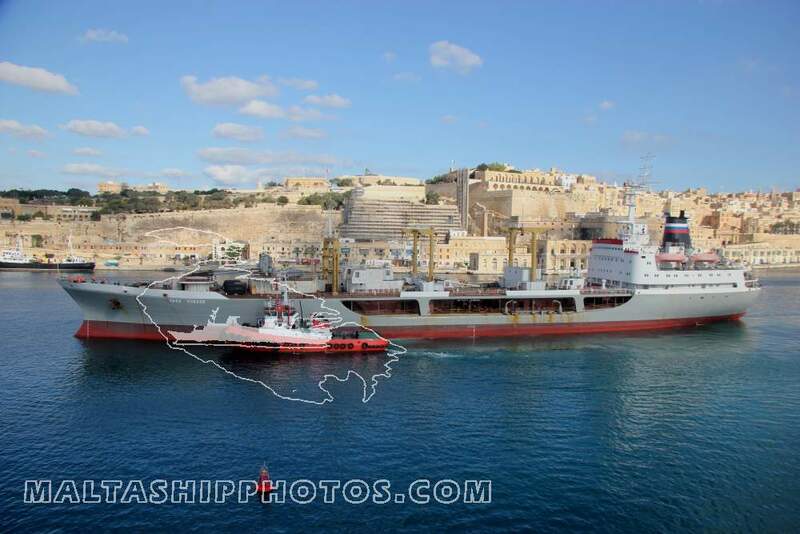 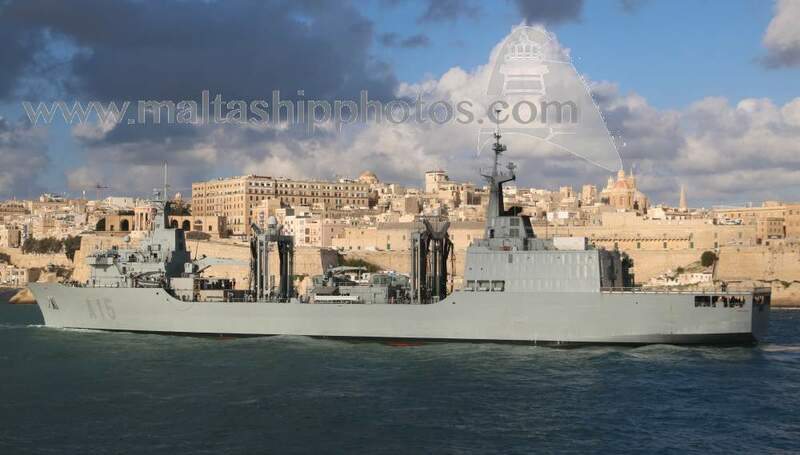 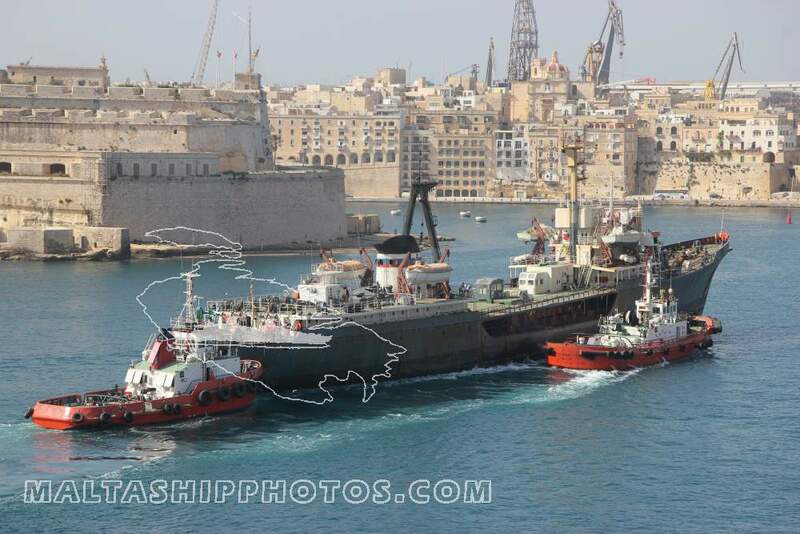 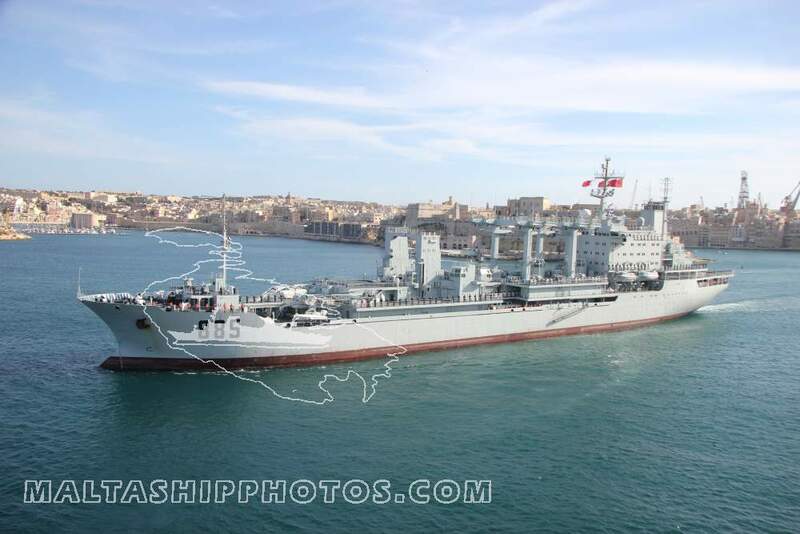 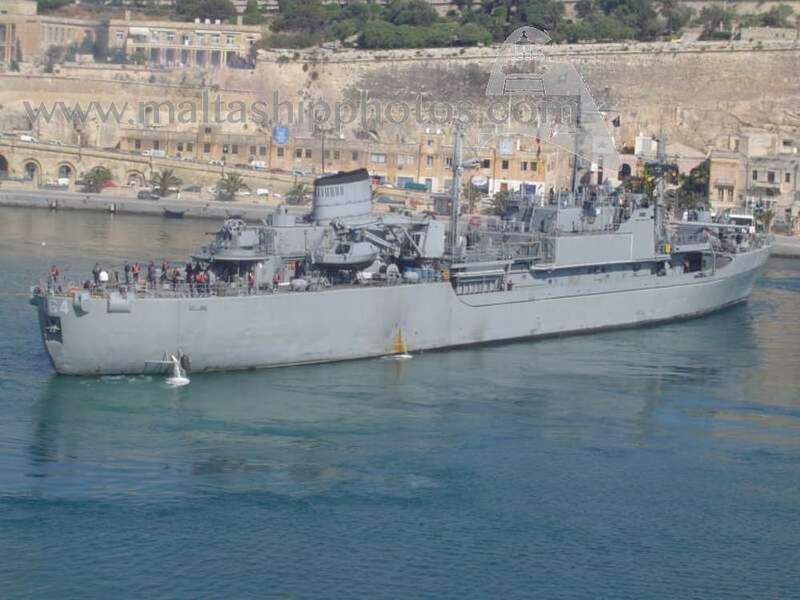 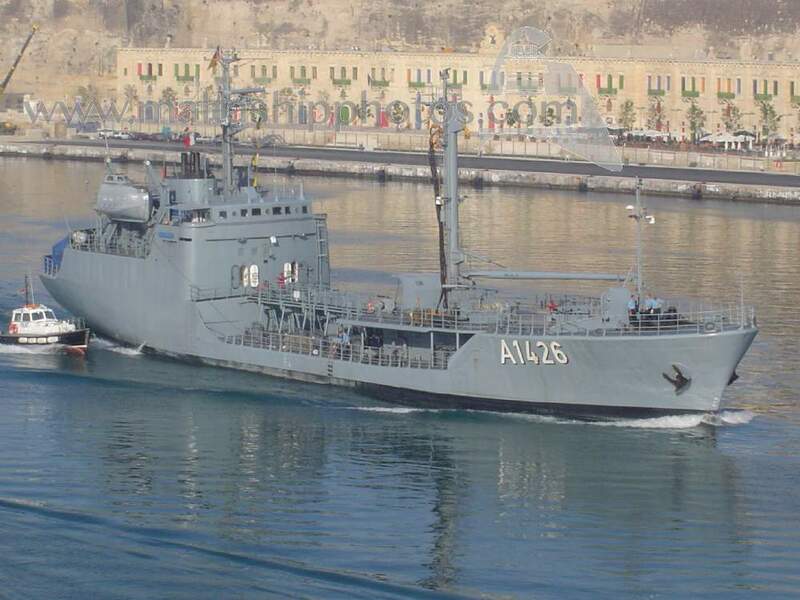 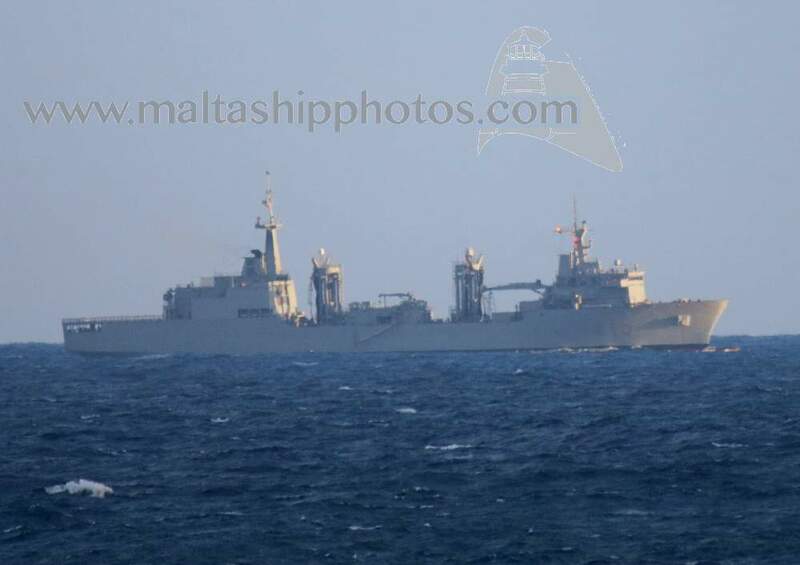 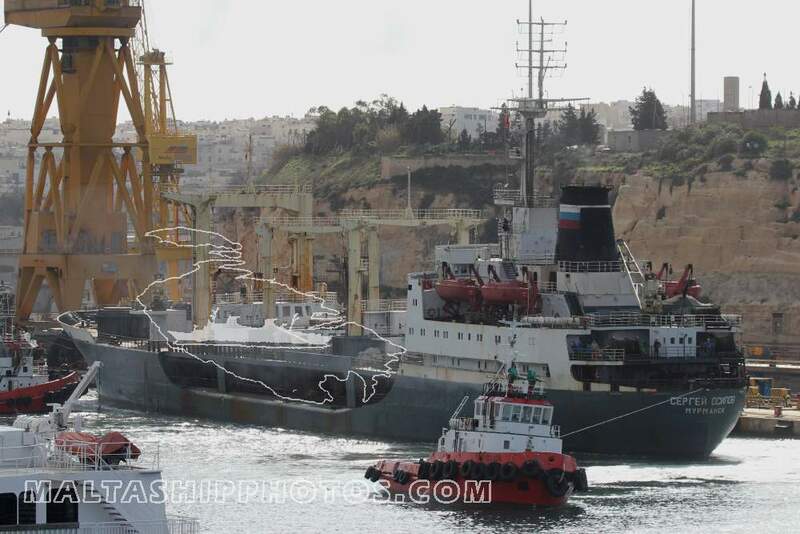 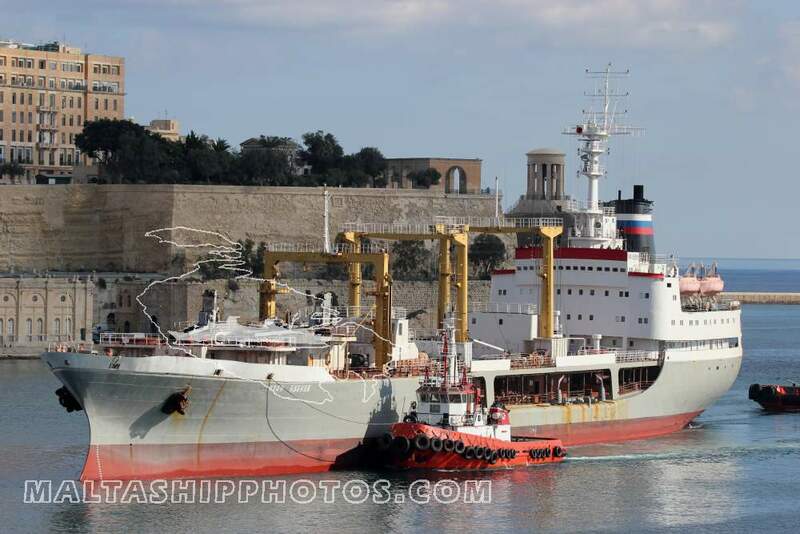 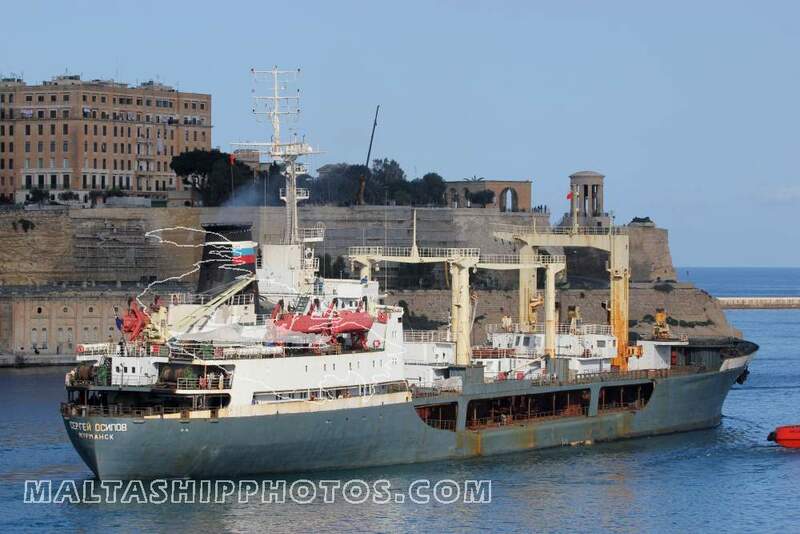 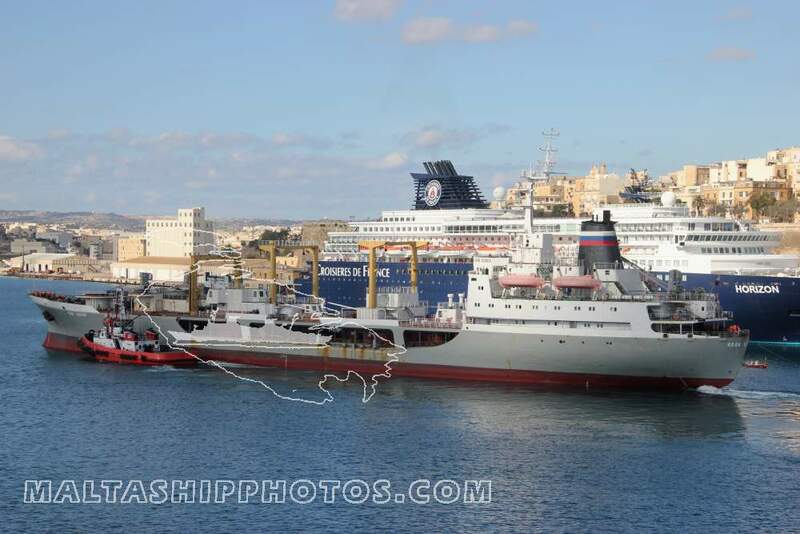 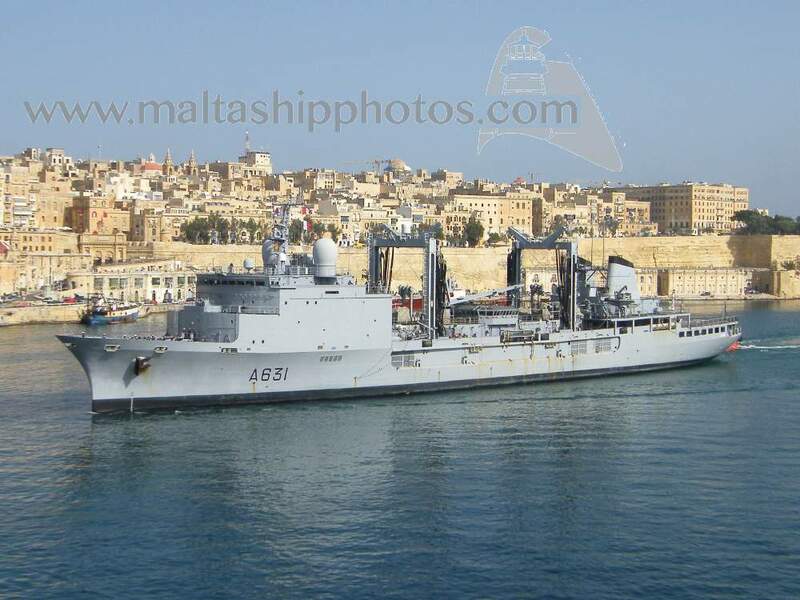 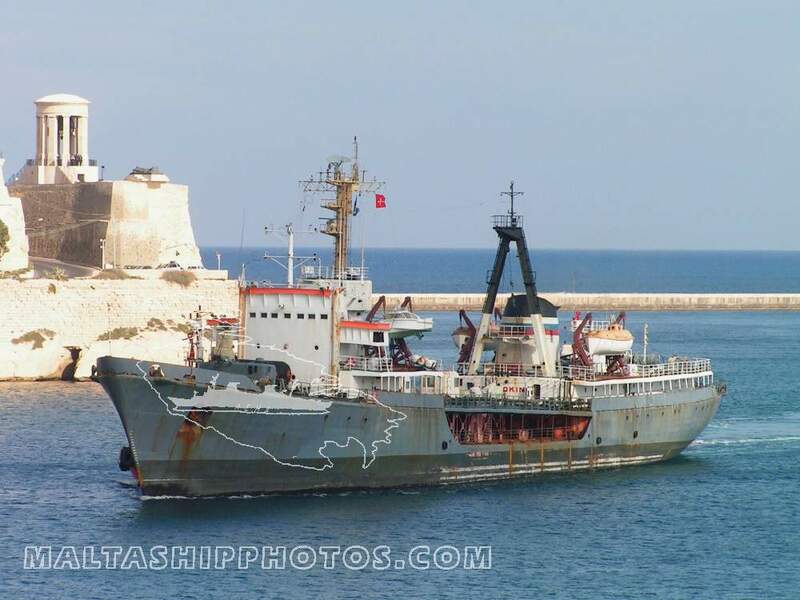 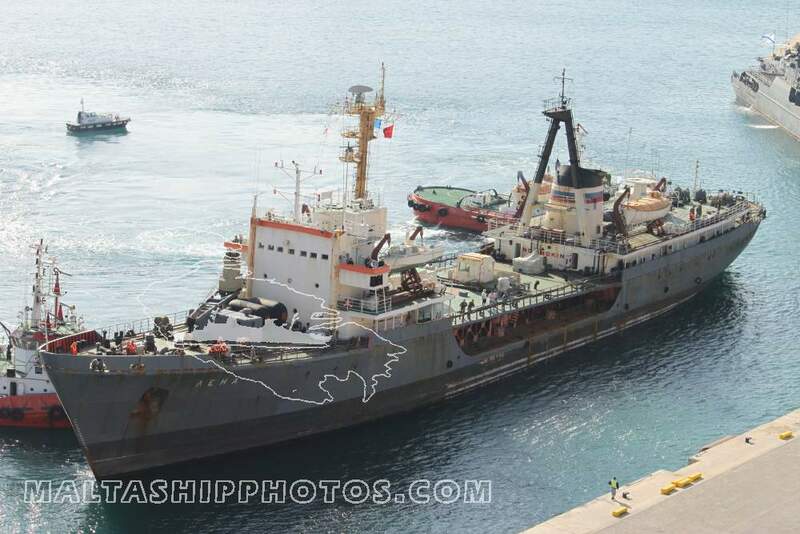 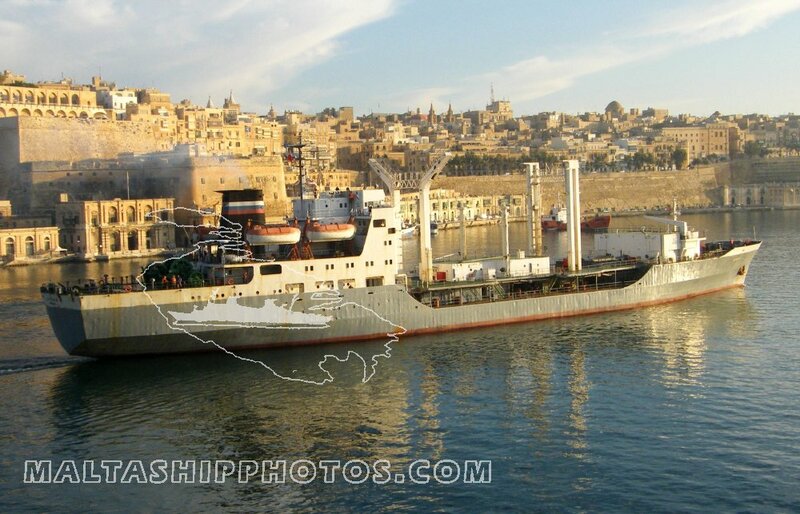 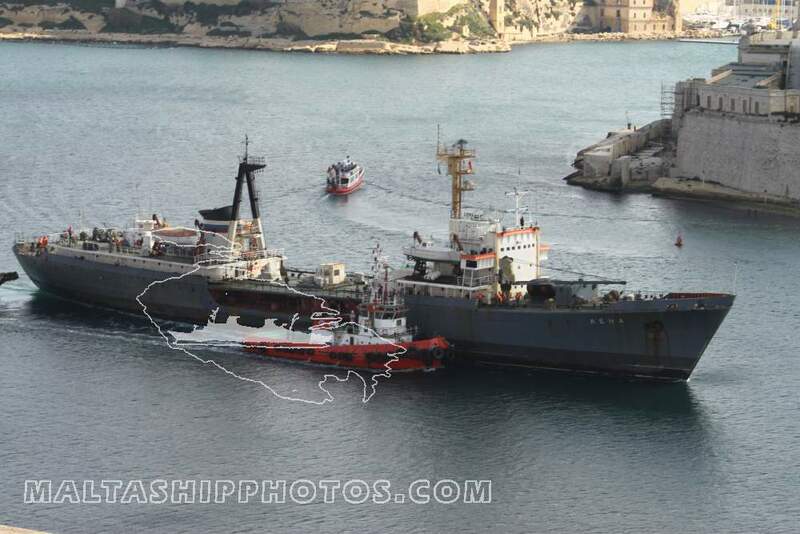 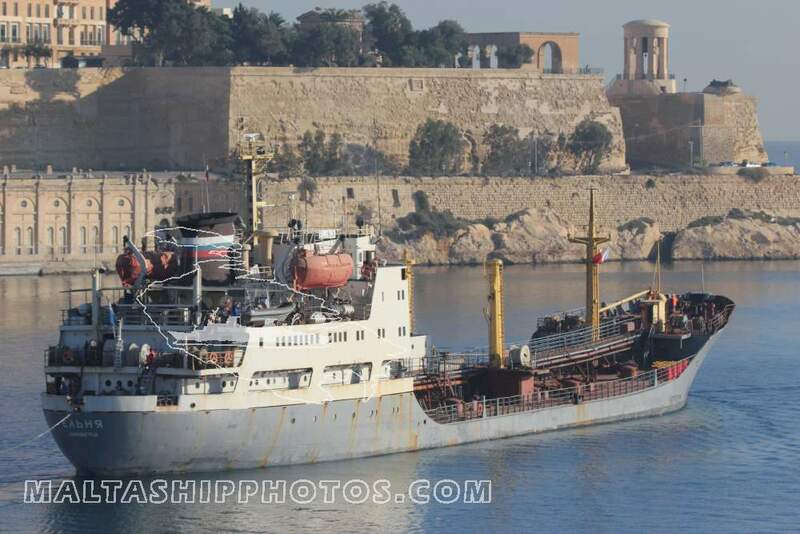 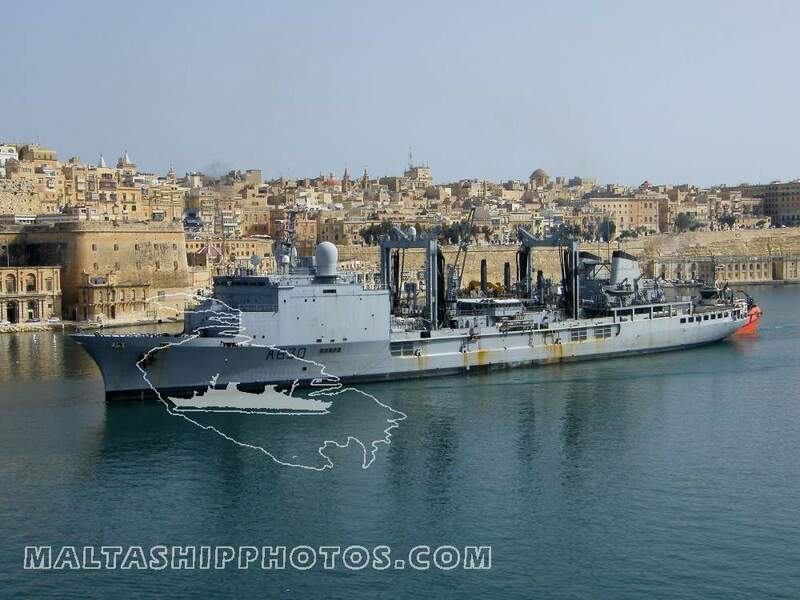 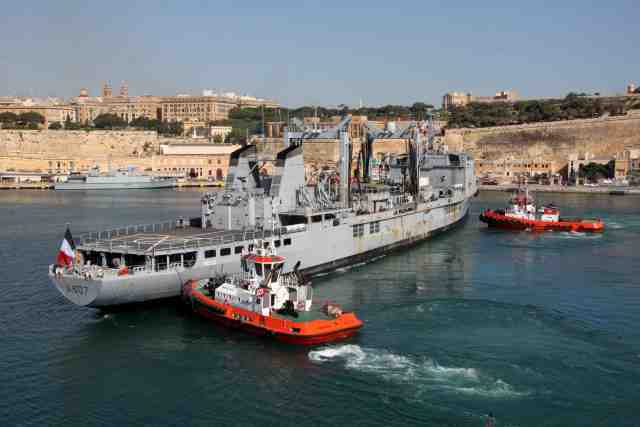 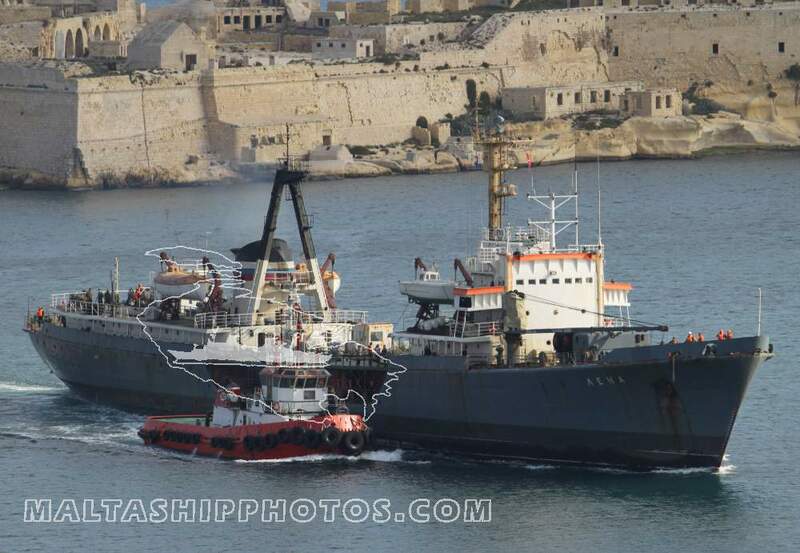 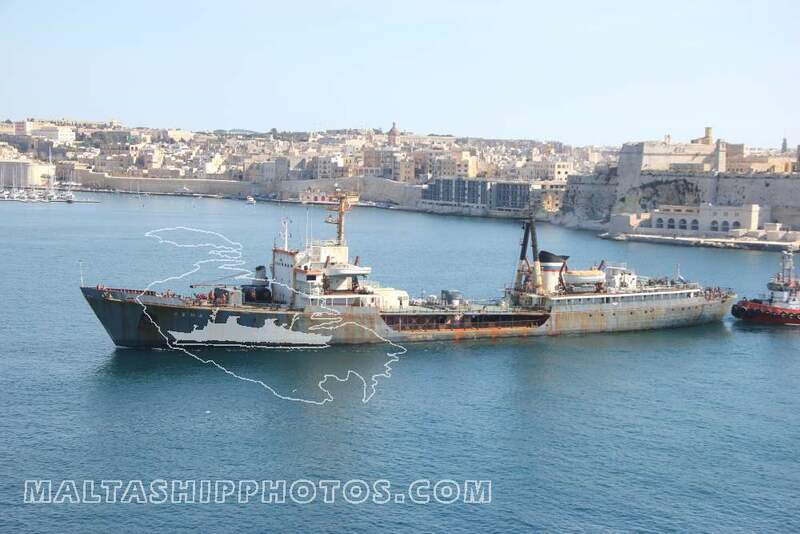 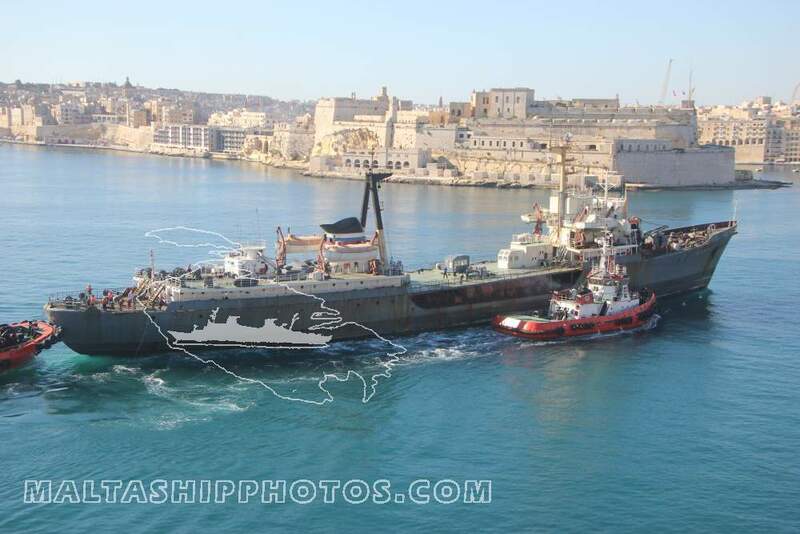 Launched in 1954, the ship is entering Valletta and was originally named Tiderange but was renamed in 1958 to avoid confusion with other members of the class. 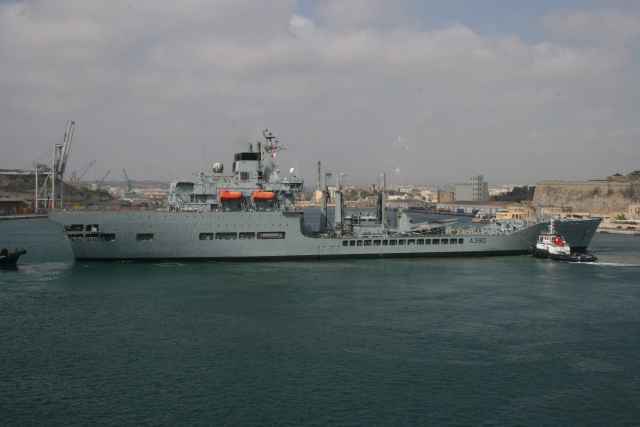 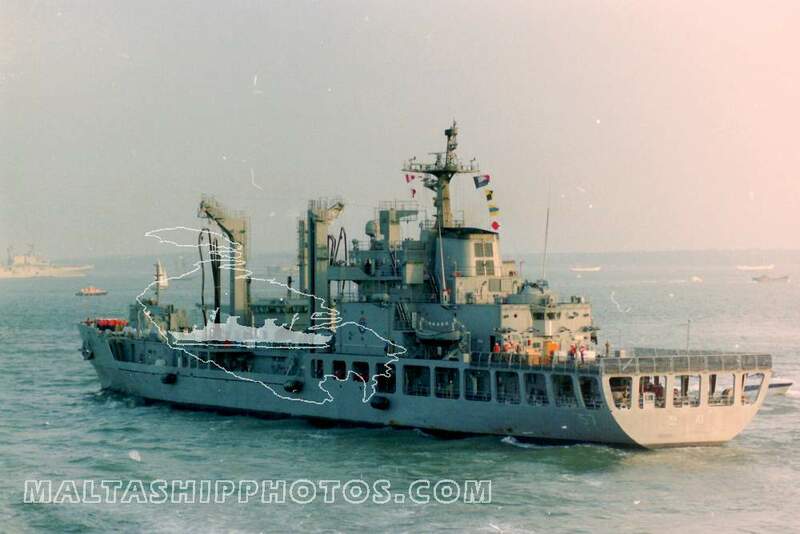 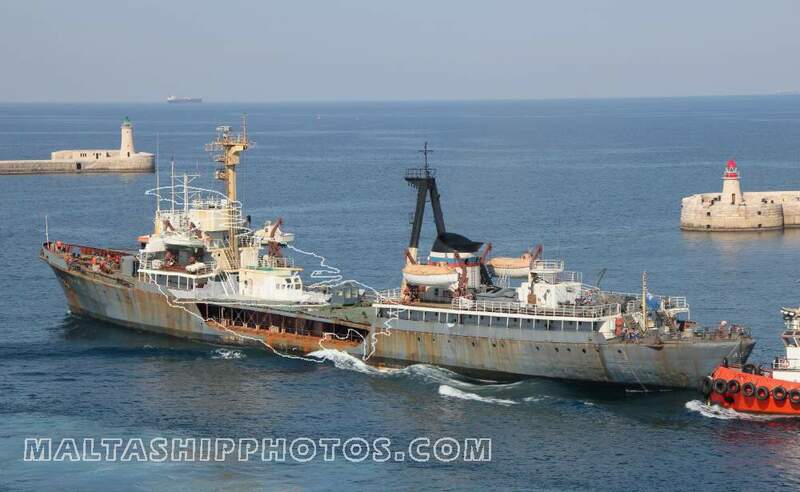 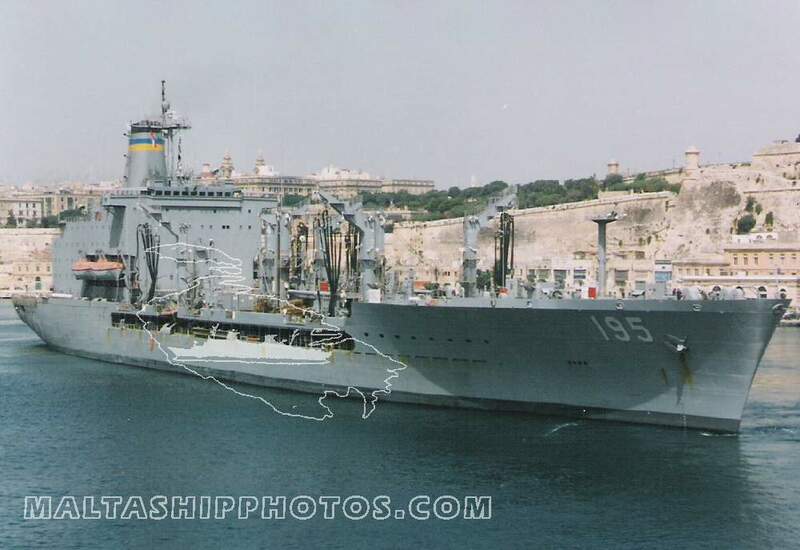 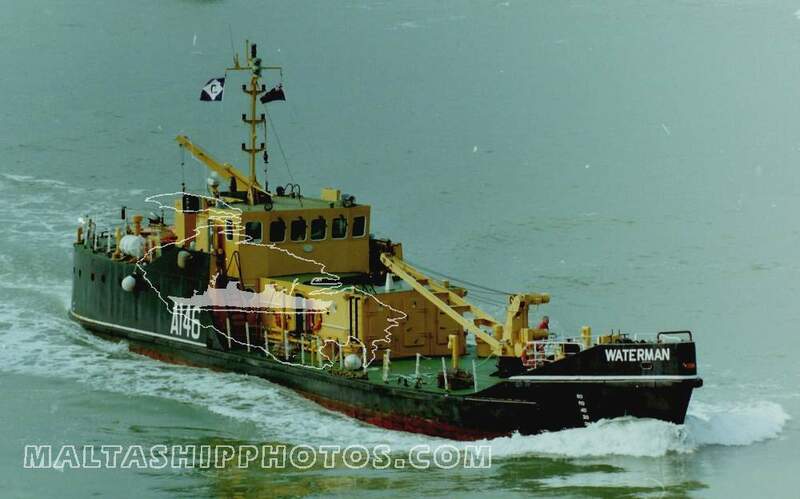 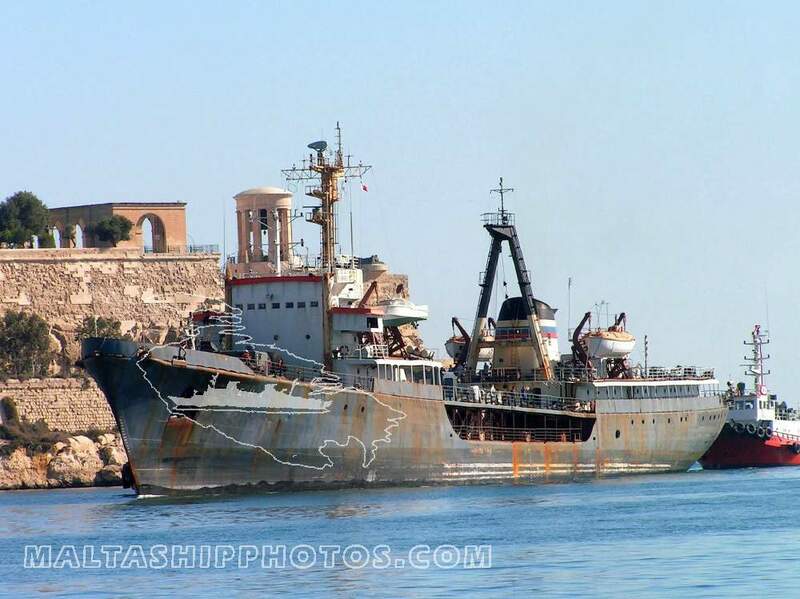 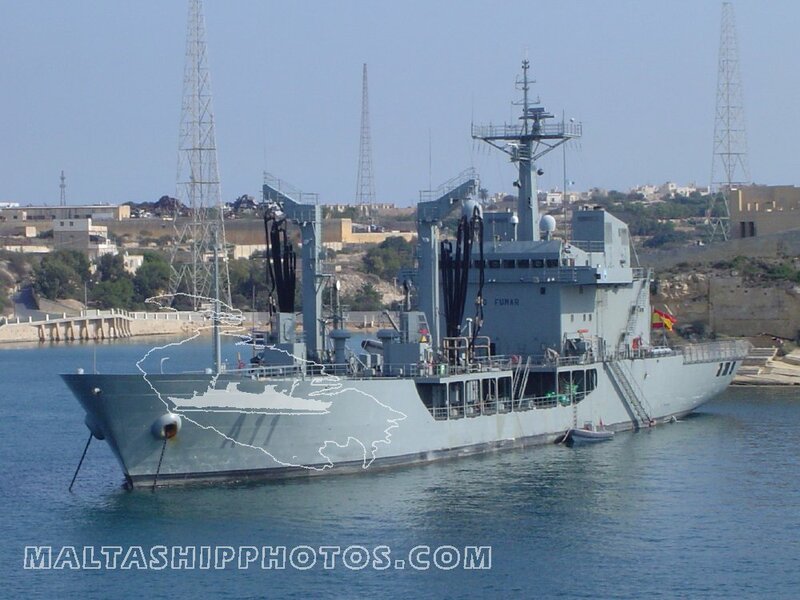 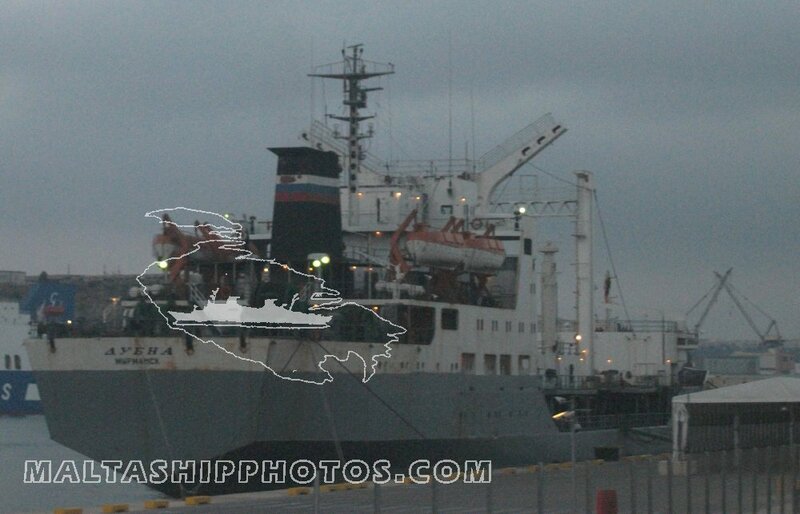 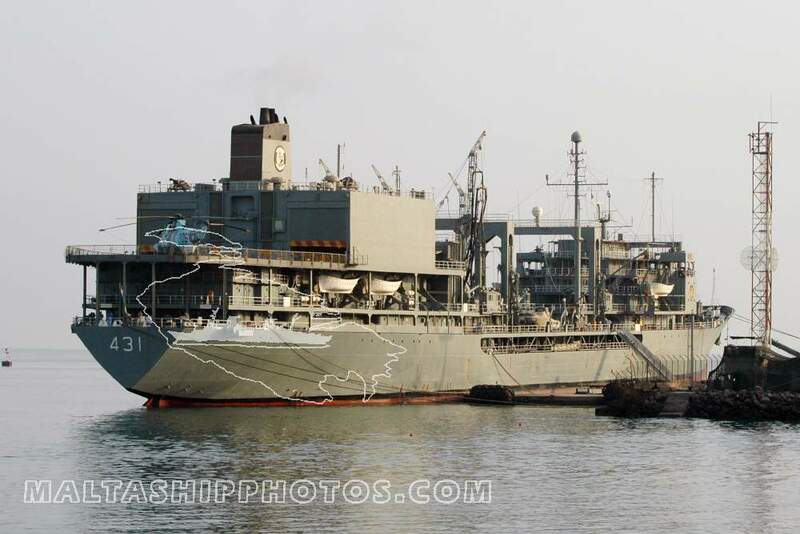 Decommissioned in 1976, Tidesurge left Portsmouth under tow on 19 April 1977 for Valencia to be broken up.